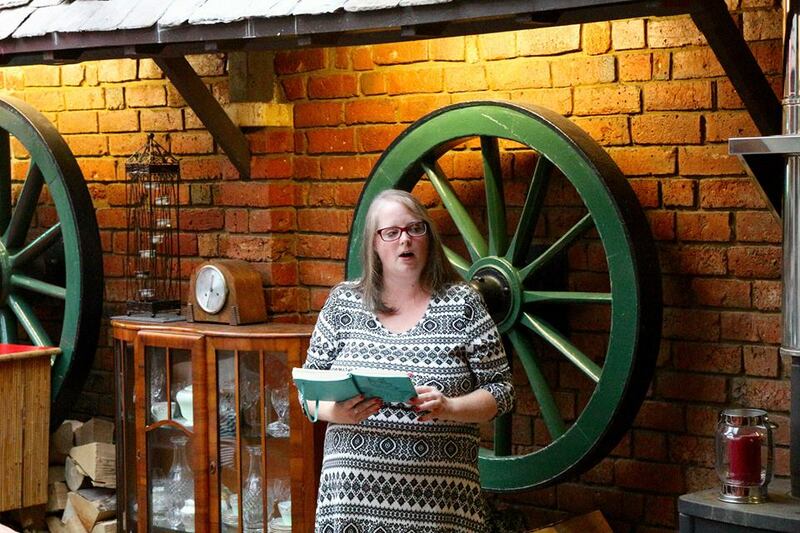 March started with a performance at ‘The Works’ Canteen’, a night of poetry, music and storytelling at the Black Country Living Museum, hosted by the museum’s poet in residence, Dave Reeves. An event that has been on my radar for a long time and one of the few events I blogged about in a timely manner. The Guest Poets were Jan Watts & R.M Francis. Rob Francis hosts Permission to Speak (PTS) and took a collective to perform at the museum, including me. It was a fabulous evening – read more about it here. 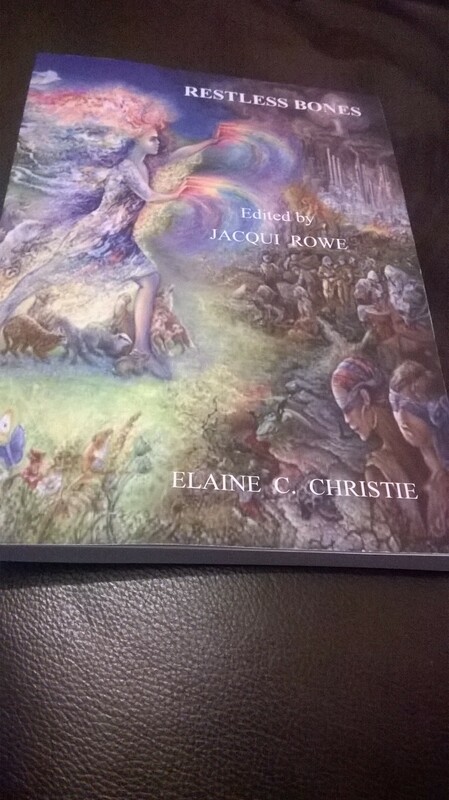 I received my long awaited and much anticipated copy of Under the Radar – Nine Arches Press, where my poems Fortiori and The Gift share the pages with a plethora of poetry talent. These poems are from my forthcoming collection and I was delighted to have them accepted. They were accepted in 2015 and it seems like a lifetime ago now. I completed research to write poetry celebrating Women’s History Month and took great pleasure rewriting a poem about Annie Edison Taylor, the first person over Niagara Falls in a barrel and she survived, her only injuries came from trying to get out of the barrel after the drop. All about the adventure! Her poor cat was the test lunge, the cat was barely harmed either. 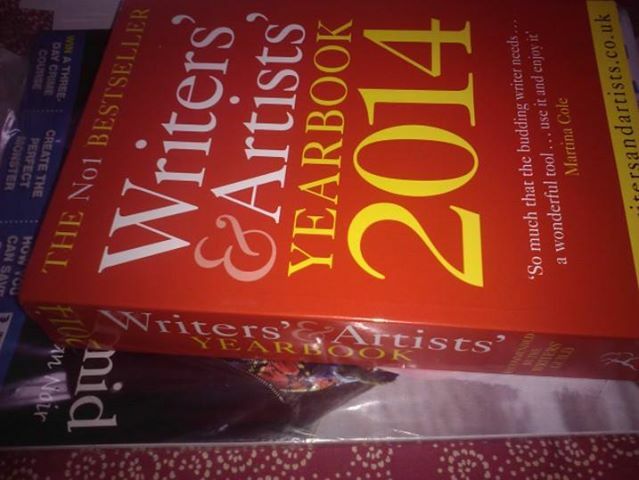 My work with Writing West Midlands was secured for another year. The second week of March involved a lot of writing, more submissions were sent out and admin tasks, which every writer could use a PA for. 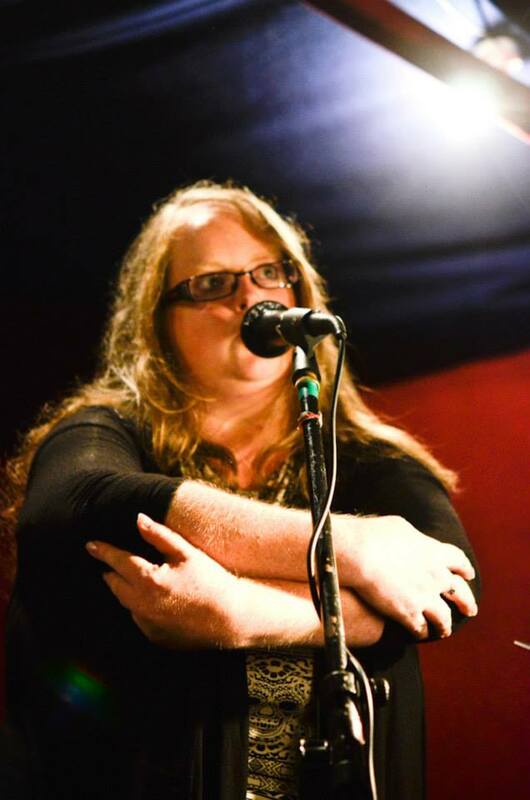 I was asked to judge a slam for Womanly Words, in the end I performed instead. I missed events I had planned to go to, day job work kept me busy and with the heavy writing schedule I didn’t have the energy. I dream of a poetry chauffeur. The WWM group met our new Assistant Writer and worked on our book project. I missed a Memorial event for Sammy Joe at The Edge, which was on the same day. 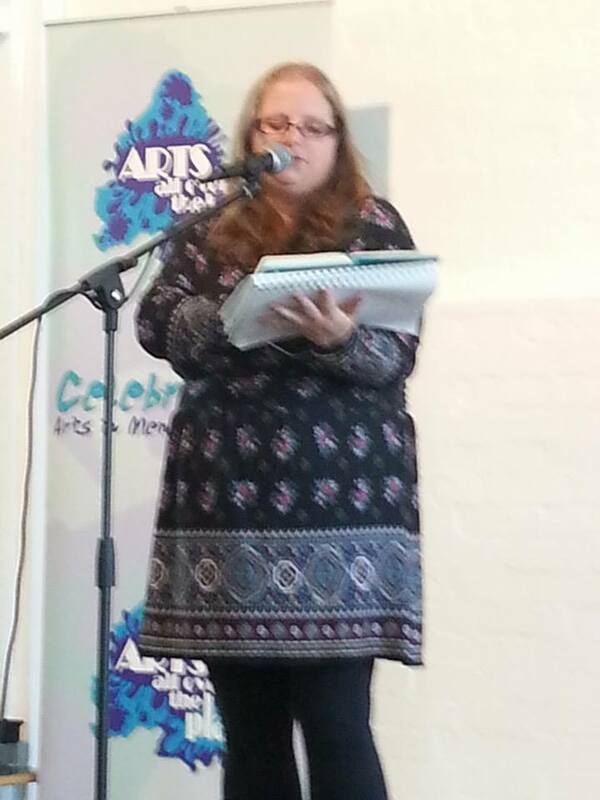 I enjoyed ‘Poetry by the Lake’ in the Arboretum, Walsall with David Calcutt and performed a short set. It was a sunny day and the park was full. It was a great way to spend a Sunday afternoon. Highly recommended. The third week of March could be the reason why I ended up fading away. I was working full time and also had a timetable to get all my submissions out on time. 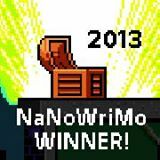 The writing still needed editing and polishing. I wrote over 12 new poems. Wrote a set of poems for Woman’s History month. Took bookings for next month and the summer. I missed events I had hoped to attend. Three of which fell on the same night. I also missed WLF & Fringe Earth Hour which I wanted to support. I had already committed to the Vanguard Readings, with Richard Skinner. 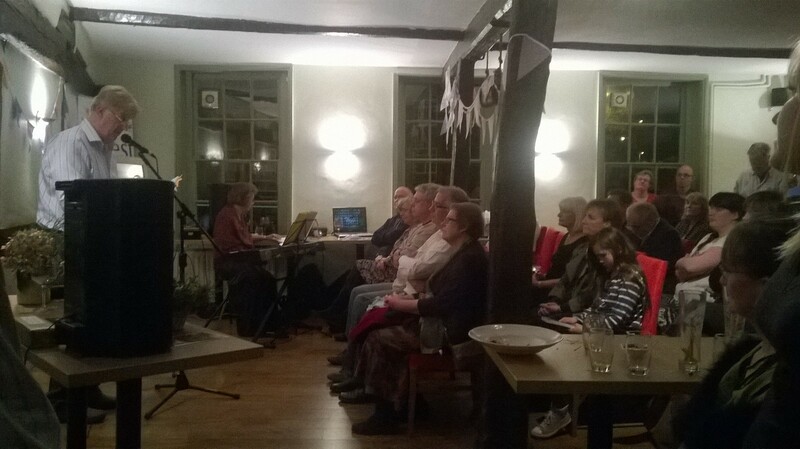 An amazing night of poetry from Helen Calcutt, Emma Purshouse, David Calcutt, David Clarke, Jane Commane and Richard Skinner. I have yet to blog about this event and wish I had managed it in real time. I performed at Worcester Arts Workshop for the first time, for Women’s History Month, it is always lovely to come across new (to me) poets. It was a pleasant evening, vibrant, warm atmosphere and lots of support and love for women, organised by Feminista Leisa Taylor. I am grateful to have been part of it. By Week 4, I barely knew my name. I had a writing day (they do not exist as much as I would like), worked on my manuscript (approaching what I hope is final editorial stages), I marked WORLD POETRY DAY, missed a photo shoot with fellow Womanly Words poets, wrote a short article on poetry and completely forgot about Stanza! It fell on Good Friday and Mr G and I had had an action packed start to the Easter weekend. The end of March was slightly strange as I took a break from most of my writing and performance schedule for Easter and never started again. The last few days of the month were mostly offline. I proofread copy of an up and coming anthology. Another lingering process which started last year. It will be a delight to finally read the collection. I have the proof copy but I want to curl up with the real thing. This year I am achieving something I attempted in 2015 (and failed) to perform less and write more. I will still support the regular open mic poetry events I enjoy, just not on a monthly basis. I am always on the look out for new and unusual places to share my words and accept such opportunities readily. 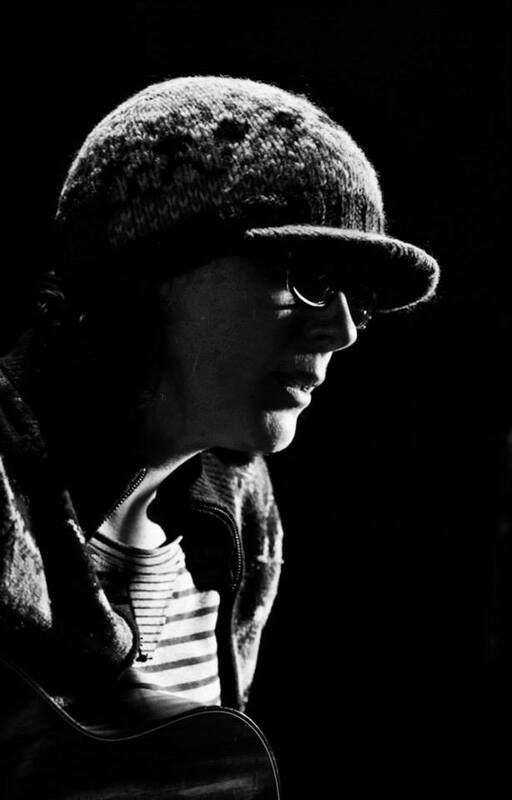 I met Dave Reeves in 2013 on my first return to the poetry mic with Julie Boden in Leamington. He MCed the event as well as performing with his squeeze box and harmonica. The Works’ Canteen is a monthly spoken word night hosted by Dave Reeves and is an event I have scribbled in my diary before now. There are headliners and open floor spots available and with the £3 admission comes free tea/coffee from the Rolfe Street Café. 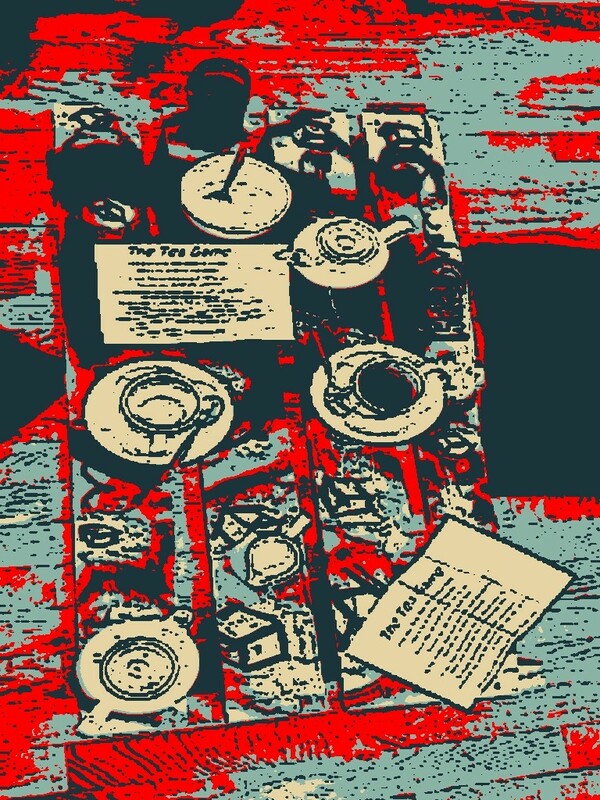 Which was much appreciated, as was the irony of having a Breakfast Tea at 7:30 pm. 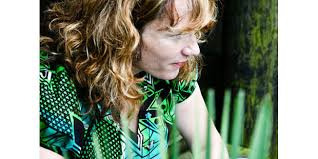 Jan Watts, poet and playwright returns in words to Wales for St David’s day. Join the former Birmingham Poet Laureate and find out about Flat Head, Di Bungalow and the food you have to eat in one day on a Pembrokeshire Farm. If you want to know what Jan’s surname almost became – this is a one time offer to find out. 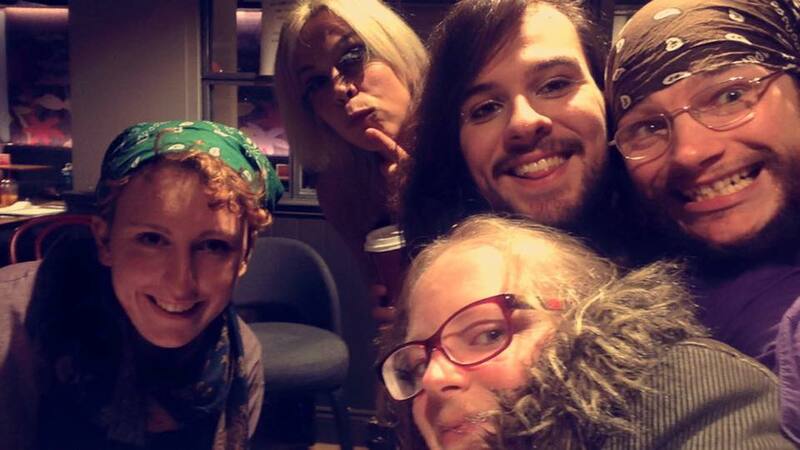 Rob Francis runs the ‘Permission to Speak’ nights in Stourbridge. Tonight he’s been given a permit to The Works’ Canteen where he’ll be introducing some of the regulars from the spoken word and music venue. MC for the evening is the Black Country Living Museum’s poet-in-residence, Dave Reeves and, as usual, there will be floor spots available. I was one of Robert’s poets representing a cross-section from PTS. It was great being part of a collective and I enjoyed listening to all the sets. Jan Watts was fabulous, as always. She opened her set miming putting daffodils in a vase, it was St. David’s Day and she had left the bunch of real flowers on her passenger seat! The open mic spots were good and it was a pleasure to hear some poets I had not met before. It was a lively and enjoyable night in the café behind the gift shop. I hope to make it back in a few months time. This week has been a whirl! 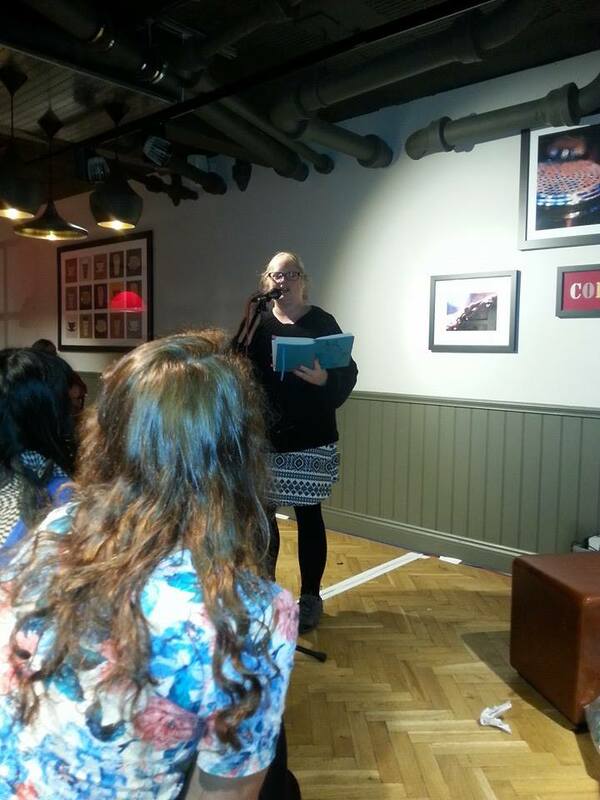 Alongside the daily slog to pay the mortgage – I have been a one woman poetry machine! I spent Monday night writing and preparing set lists. Tuesday night I went to Mouth and Music, the musical headliners were called The Blue Dive and it is their name that gave us the BLUE theme this month. Many open options there for new material, sadly I have been so busy with other writing that I didn’t have the time to try. I do however have lots of poems that mention blue, are about blue things, I even have a gender poem (published by Silhouette Press HCE Boy Girl Issue in 2014) which is about the historical implications of blue – so with plenty to choose from, some poems that were written last year and never performed and all new to the M&M crowd, I built my set. I was looking forward to watching Leon’s set, Leon Priestnall headlined Hit The Ode last month and he slammed it there. I am glad he enjoyed performing in Kidderminster and had a good night. His performance was confident and he met Robert Francis (of Permission to Speak) so hopefully he will be delighting the Black Country soon too. It was a great night and I enjoyed myself immensely. There were some fab open mic-ers and great musicians and it was good to catch up with folk I have not seen in a while. Just some of the performers at Mouth & Music this week. 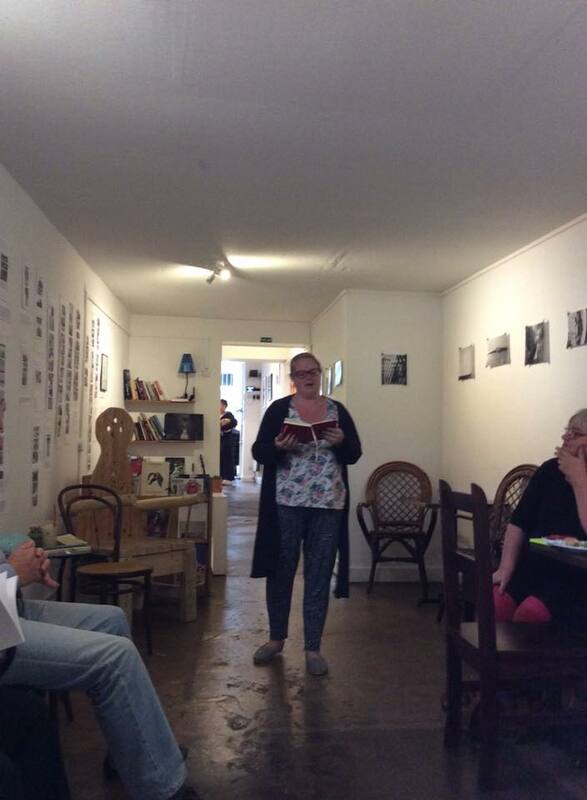 Last night I went to The Poetry Café Refreshed in Cheltenham, a monthly event held at the Smokey Joe’s, organised by Sharon Larkin. 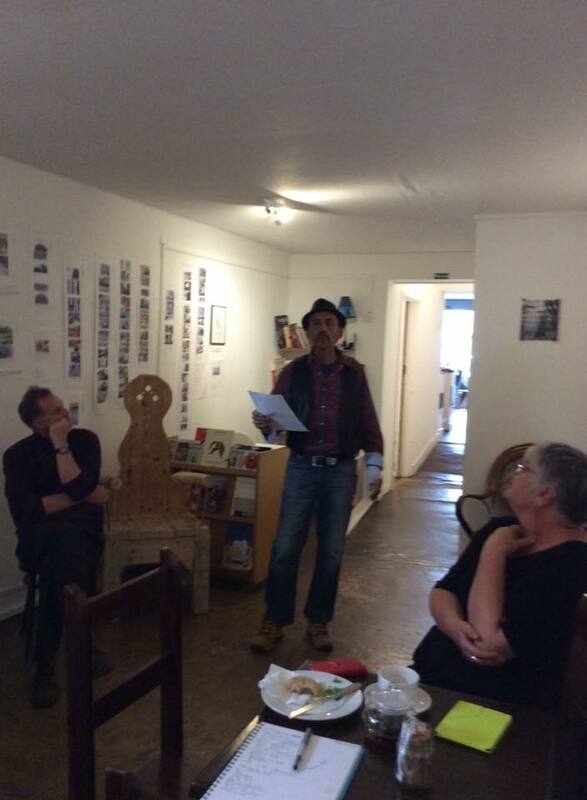 Last night was hosted by Roger Turner and I was delighted to be the Guest Poet. 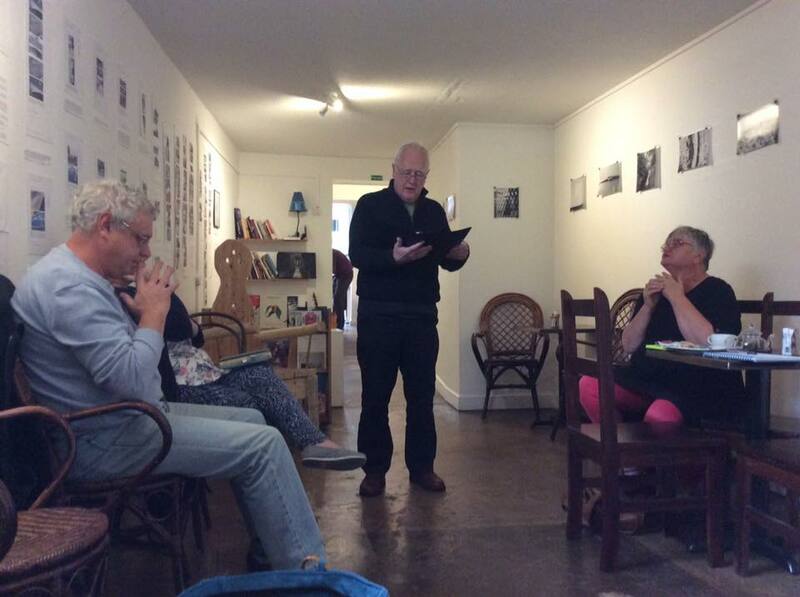 It was a real pleasure to hear poems from unfamiliar voices, I say that but I had already met some of the Cheltenham 52ers at Swindon and heard David Clarke perform there too. I really enjoyed myself and considering I was sitting there waiting to do my set, I didn’t feel too nervous and was able to focus on the poems. This is a testament to the relaxed atmosphere at this event. 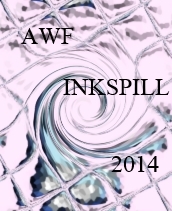 I am glad my set went well and was well received, I was able to promote both poetry books/anthologies I am in and my up and coming pamphlet as well as giving INKSPILL a quick mention too. I had some in depth conversations with several people from the poems I had chosen to perform and even inspired, or triggered a memory at least, for Roger, who took his scribbles home and hopefully produced a poem. That result is a good night! Roger Turner, David Clarke, Gill Garrett, Miki Byrne, Michael Newman, Michael Skaife d’Ingerthorpe, Angel Whitehorse & Sharon Larkin. And tonight… saw Phenomenal Women taking place for the 4th year running at the Book to the Future Festival at Birmingham University. This is the 3rd year I have performed at Jan Watt’s event and I think it was the best yet. It was a superb evening of poetry from an amazing collective of women and I think what I liked best were the brave poets who got up and shared their work, students who had come to watch and enjoy and hadn’t expected to be behind the mic. There poetry was vulnerable, edgy, deeply hypnotic and amazingly beautiful. 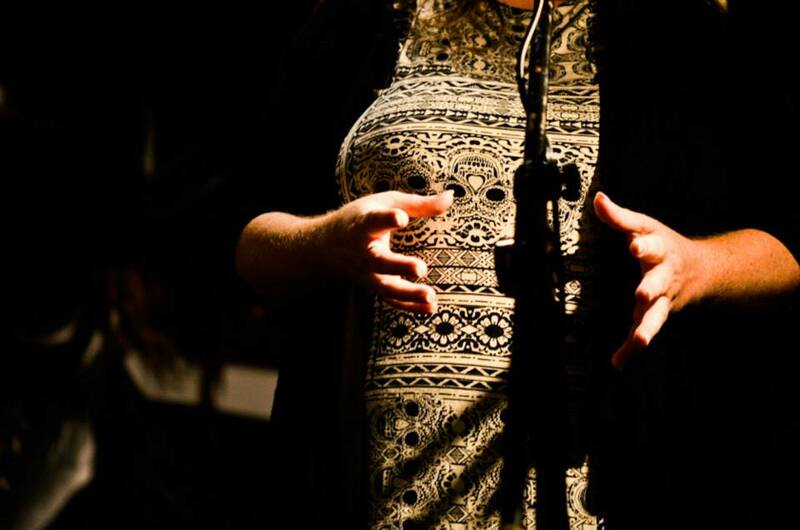 the region’s top female poets, including University of Birmingham alumna Jan Watts (Birmingham Poet Laureate 2011/12), Nina Lewis, Jackie Smallridge (Scrubber Jack) & Andrea Smith. It was a pleasure to be part of such a great festival event held at the Costa Coffee, Student Centre, with generous payments of free medium drinks, after my coffee I treated myself to a strawberry and cream smoothie – which filled me up with sugary goodness and fuelled me home. Now I get to wake up and do it all again! The Festival runs until the 17th and as it is funded the events are FREE! It is worth checking out the programme if you are local and booking something. I have treated myself to a MUCH NEEDED day off tomorrow and am going to a lecture in the morning and a workshop in the afternoon. The end of last month was so crazy busy I am only just tying up loose blog ends now, nearly midway through November! October was a true turning point month, goals I have been working towards for a while came together and opportunities flowed one after another. It was a fab month I thoroughly enjoyed being busy. Half term was filled with writing events and I also managed (or was possibly forced by exhaustion) a couple of days off. Think I have had about a week so far this year because I love what I do – it doesn’t feel like work. I started reviewing my writing life in weekly chunks as it was becoming too much to blog in real time about my schedule. 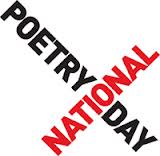 National Poetry Day – I loved finding out how other people had marked this special day, some of the things people got up to were incredible. This day also marked ONE YEAR since returning to the OPEN MIC circuit! 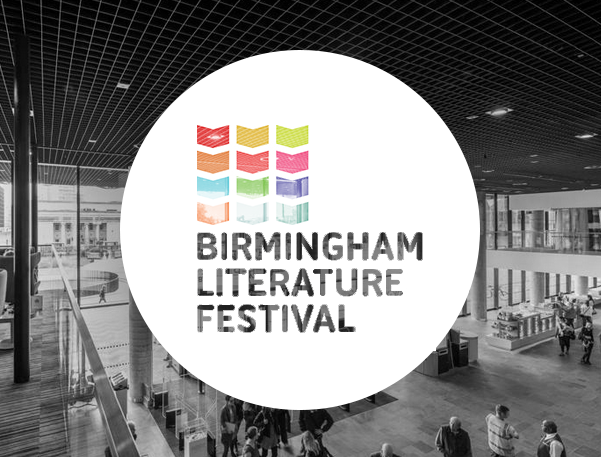 Literature Festivals including Birmingham Literature Festival, Poetry, Performance & Everything Else Festival and Book to the Future Festival. 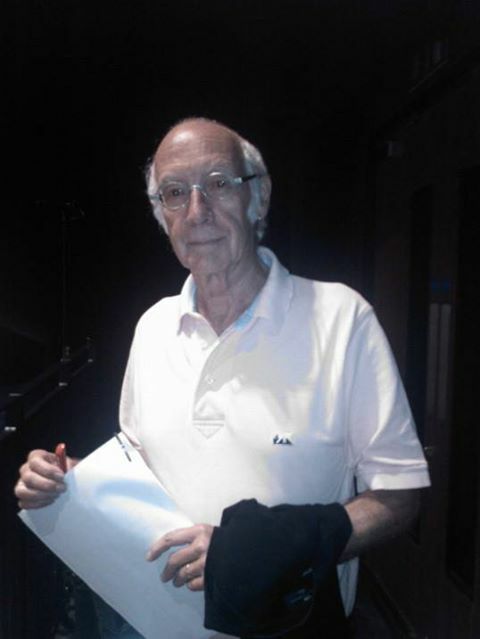 I went to see the recording of Radio 4 Poetry Please with Roger McGough, followed by With Great Pleasure, also recorded for BBC Radio 4. Rich McMahon was playing guitar and singing in the foyer before the evening show at the Rep Theatre of Tell Me on a Sunday, which was a storytelling event set up by Writing West Midlands and Cat Weatherill to share real life stories. Marking the end of 3 years on this project she had selected some of the top stories and tellers to perform and treated us a little to her own stories in between. I then returned to the festival the following weekend to perform my own commissioned poetry about Urban Nature for Naked Lungs. 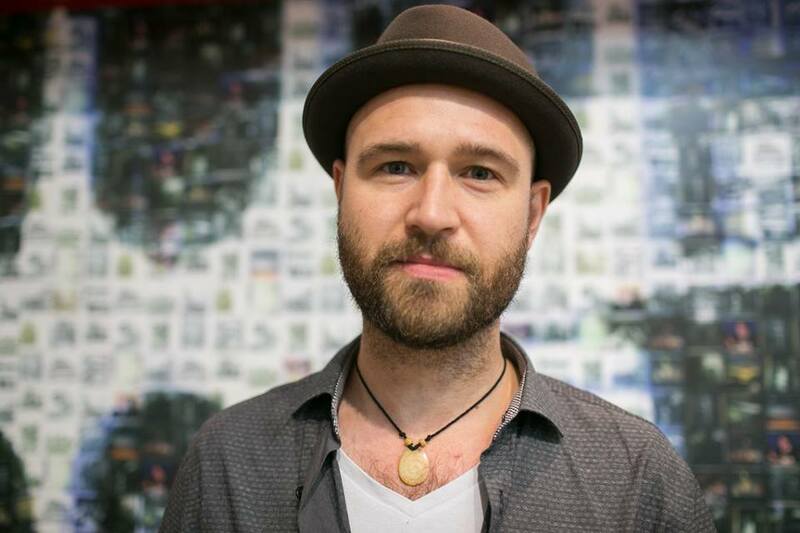 A spoken-word exploration of the intersection of urban and natural. Our lives in the city are played out amongst the products of human endeavour, the frantic pace of the metropolis tending to obscure our innate intimacy with the natural environment. Yet nestled within the concrete and mirrors are jungles brimming with other lives. 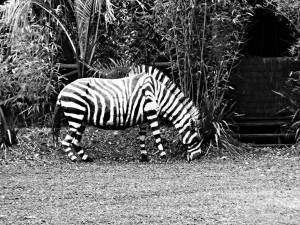 Birmingham has recently been declared a Biophillic city and is praised for its biodiversity. How does the city structure our experiences of the non-human? Is it valuable that we facilitate such experiences? A group of writers will be producing and performing work dealing with these questions. It felt amazing to be part of the festival just one year after discovering it! My first commissioned performance project, I hope there are more opportunities in the future. I performed a set for Phenomenal Women organised by Jan Watts for the Book to the Future Festival at Birmingham University and Arts All Over the Place celebrated the end of the PPAEE Festival with a huge party, I was delighted to perform an amusing set for the them and have Swingerella share the stage with me. 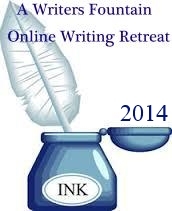 I also completed my biggest poetry project to date and organised INKSPILL for the 2nd Year – an online writing retreat hosted right here on this blog. 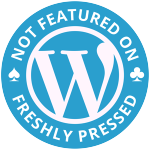 There is a pinned post on the front page of this blog (homepage) with links to the main articles from our INKSPILL weekend, go check it out. This year I was joined by Writer William Gallagher and Poets Charlie Jordan and Heather Wastie who wrote and filmed some wonderful guest posts full of knowledge, advice and experience. My brother’s Wedding at the beginning of the month was a non-writing highlight. I read a poem by Roy Croft during the service to the tear stained faces of the bride and groom – toughest of audiences. It was a truly magical day! That is a lot of highlights for just over 4 weeks! I continue with 52, although I am behind in week 40 something. I regret not being able to take full advantage of the community of this group, my own writing schedule has taken off this year and I am busy working when I am not writing and some weeks cannot find the time I promised to carve out for 52. We are all getting reflective as the year draws to a close. 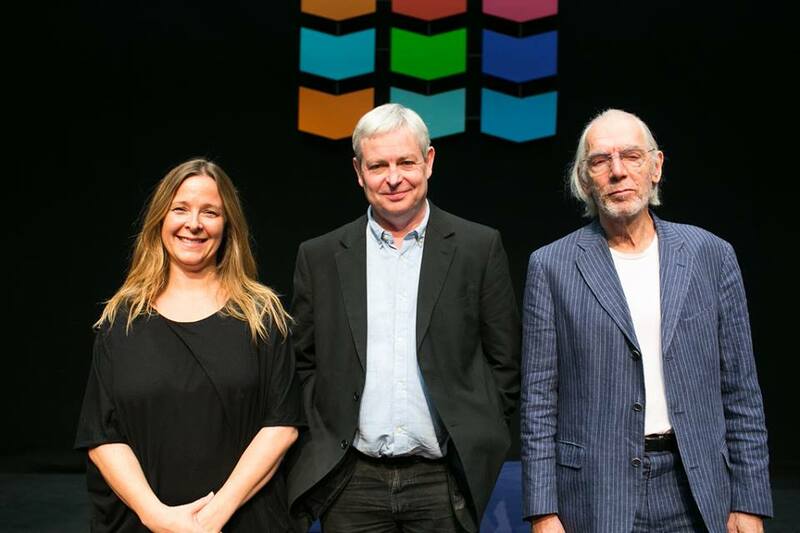 Naked Lungs – My 1st commission – 2 other poets and myself performed at Birmingham Literature Festival in a piece called Urban Nature, it was an amazing experience. Hanbury Hall Art Exhibition – an opportunity through the Poetry Society Stanza group to write poetry inspired by art in the gallery. I enjoyed the exhibition and still need time to create, write and edit my submission. INKSPILL – kept me busy over the last week of October, writing and researching articles, communicating with Guest writers and organising the schedule of events. 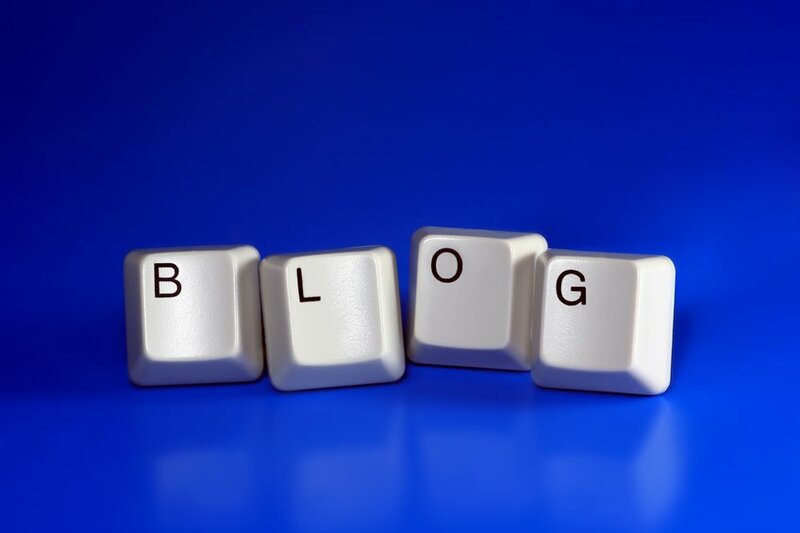 It was great fun and lots of people have accessed the posts. I completed a poetry project and missed lots of end of month submissions. Wrote poetry for my commissioned performance and received rejection from publications I submitted to over the summer. 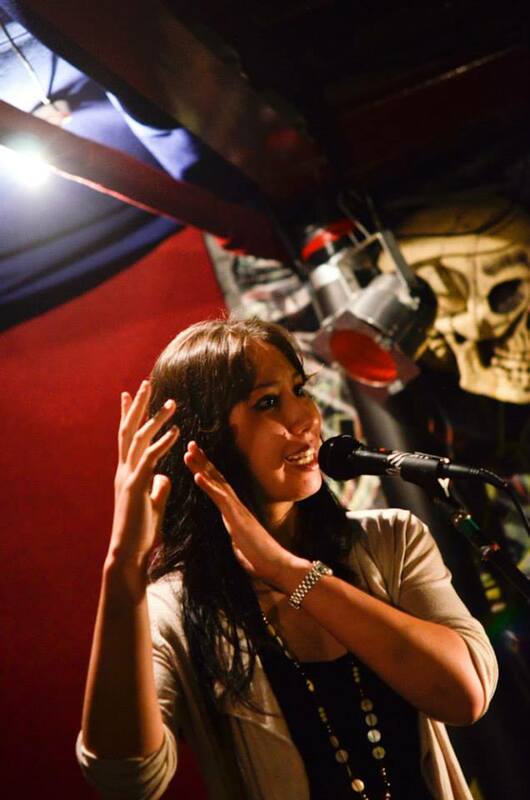 Mouth & Music, Kidderminster, hosted by Heather Wastie, headlined by Jasmine Gardosi. 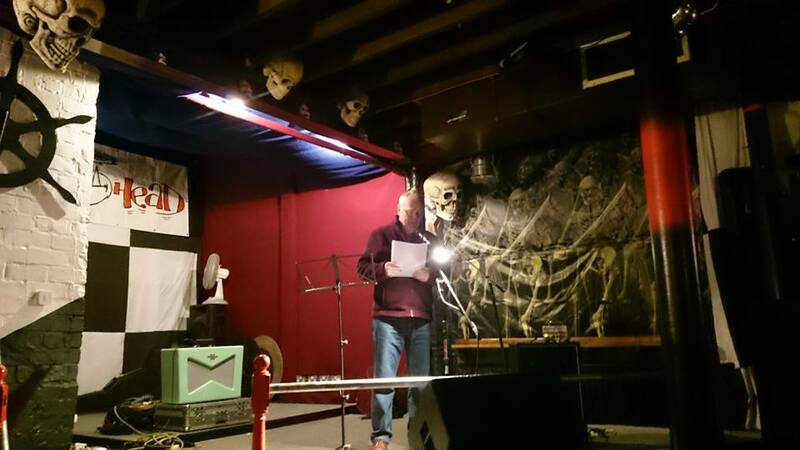 Where I first performed my Halloween Set – to the theme of Ghosts and Ancestors, including two new poems written especially for the event. 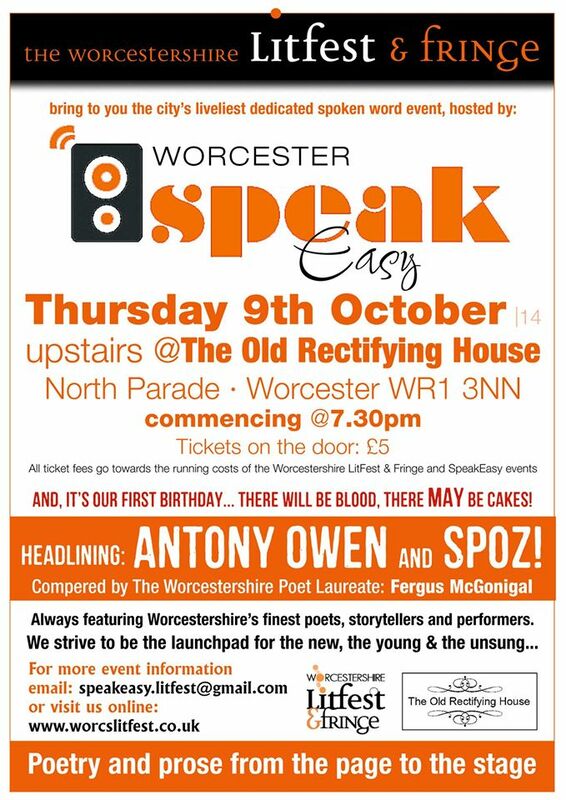 SpeakEasy, Worcester Hosted by Fergus McGonigal – Worcester Poet Laureate, headlined by Antony Owen and Spoz, I was lucky enough to be asked to perform and was delighted as this was the 1st Anniversary Special! There was CAKE! 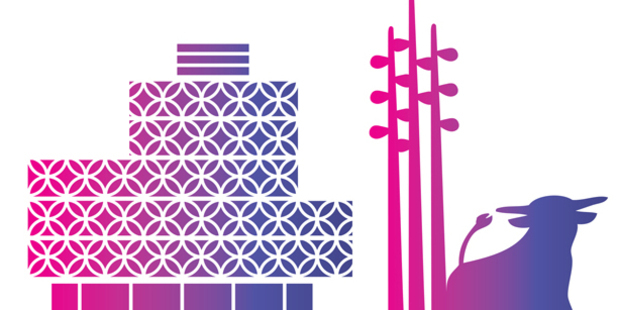 Poetry For Lunch, The Library of Birmingham, hosted by Jan Watts. 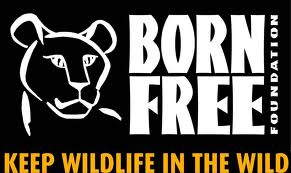 Restless Bones Birmingham Promo with Born Free Film at The Ort. 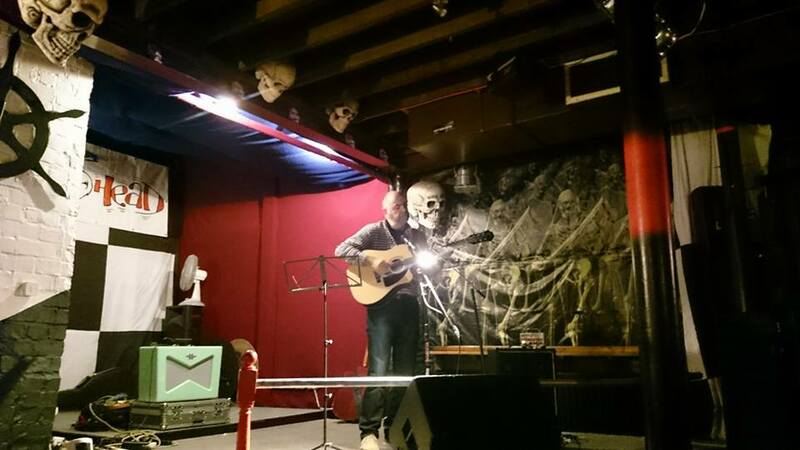 Mostly Halloween at the Ort – a 10 minute set. 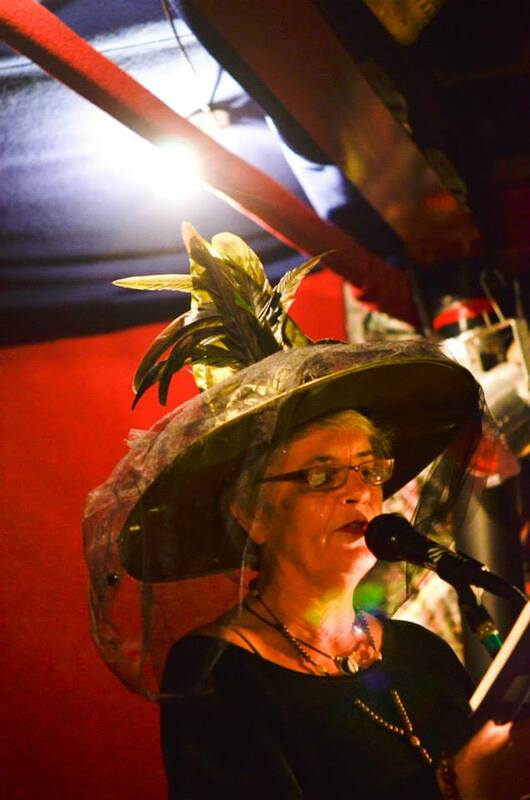 Word Up, in Halloween Fancy Dress Birmingham, hosted by Ddotti Bluebell – a night of amazing poetry. 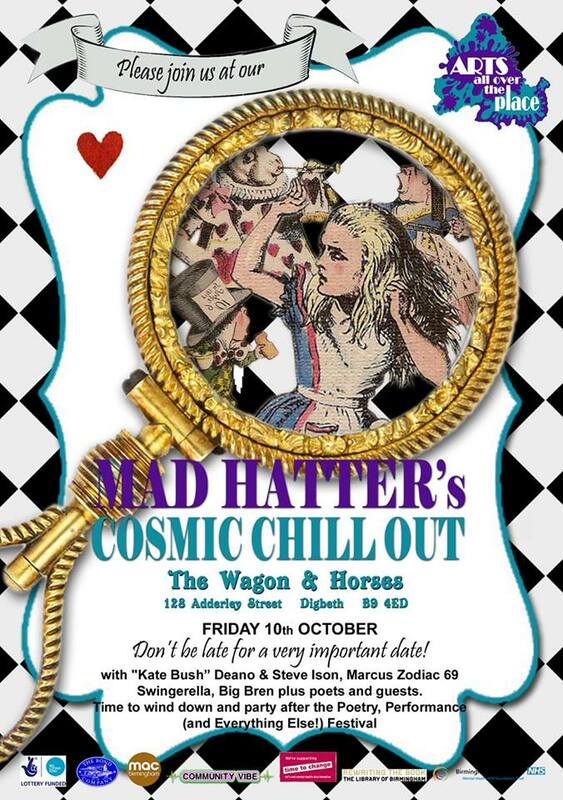 Headlined by Daisy Edwards & Swingerella. 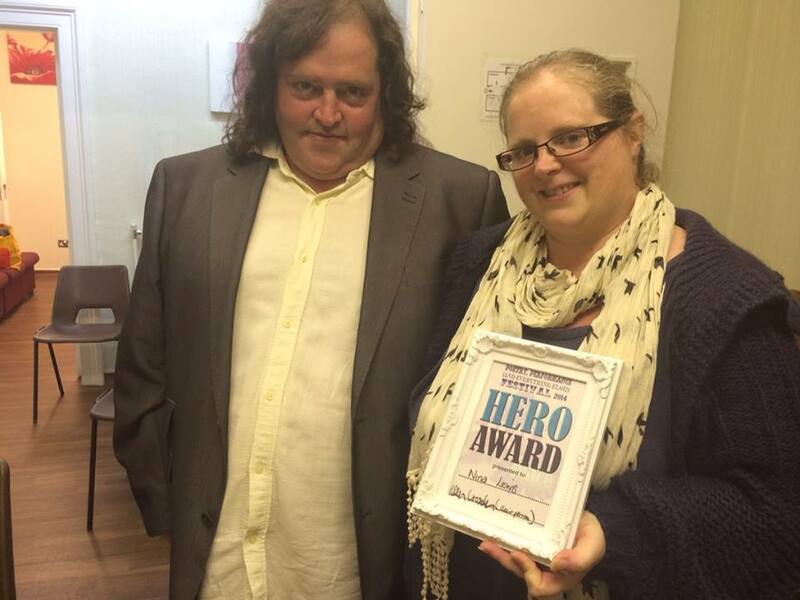 AAOTP Award Evening – where I received a HERO AWARD for stepping in last minute to open the festival. 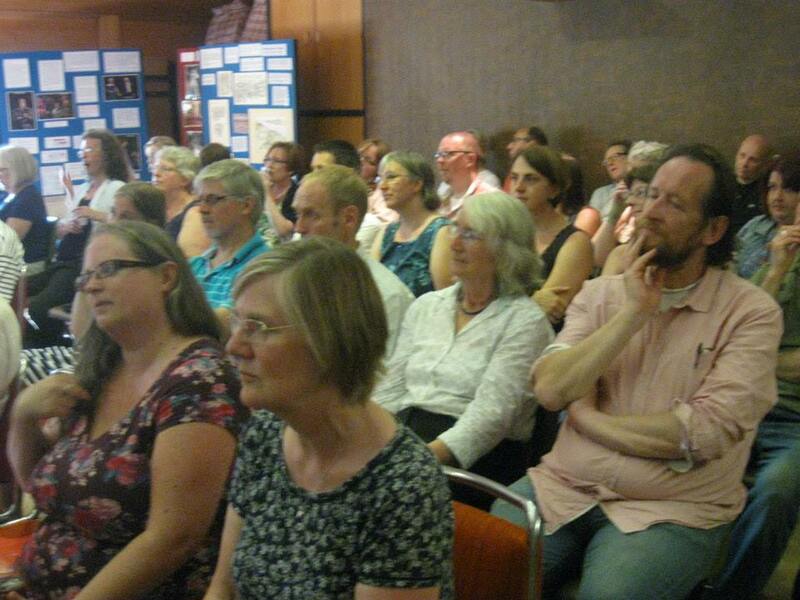 We had the annual meeting of writers with Writing West Midlands. My 1 to 1 Mentoring Role for WWM was made official and planning started for these sessions. 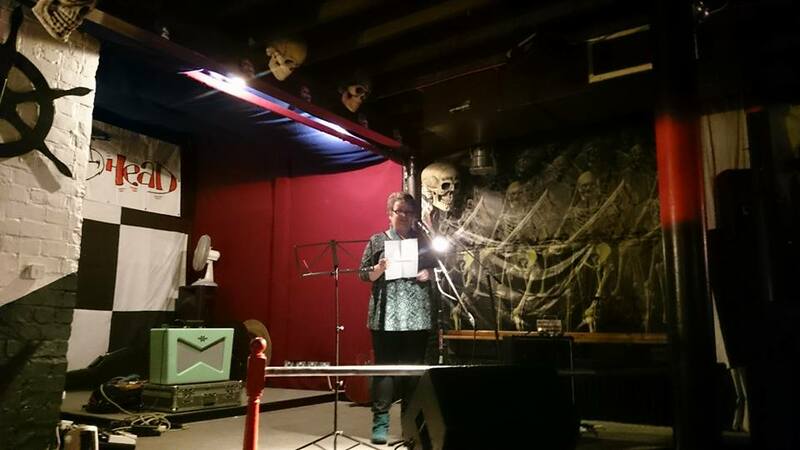 I also managed to get to Stanza this month again, hosted by Sarah Kemp. 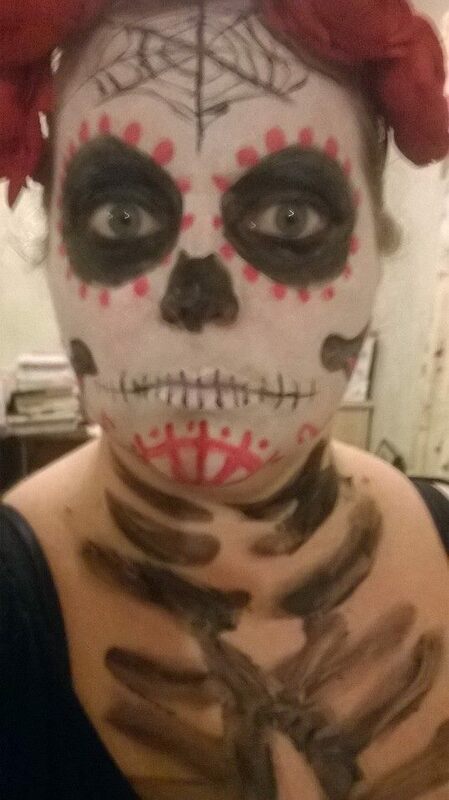 October Week 4 Writing, Editing, Book Launches, INKSPILL and MORE! The end of this month seems even busier than the beginning, which is crazy because I intentionally withdrew from performing poetry to concentrate on a writing project and take stock. With all the writing & editing there hasn’t been much time to take stock! I did have to take on a lot of day work (as my half term is unpaid) I managed one FULL day of writing mid-week which was a godsend! I spent most of this week preparing articles and posts for Inkspill, researching and communicating with our guest writers; William Gallagher, Charlie Jordan and Heather Wastie. If you missed it you missed a treat – follow this link to some of the programme, join in – it’s never too late! I was also working towards finishing a big writing project I have been involved on since the end of August. I spent hours writing on Wednesday, which was great – hard work feels so good when you love what you’re doing! 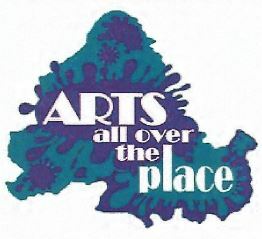 I also received some news on Wednesday – I had been given an award from Arts all Over the Place for stepping in last minute to compere they opening event at the festival. I was able to go and pick up my award en route to the Restless Bones night at The Ort, due to work I didn’t get there in time to join in all the fun, very touched by Rachel Green and Arts All Over the Place. Pictured with Big Bren – Birmingham’s host for Sunday Xpress. I hope to work with Rachel again in the future. 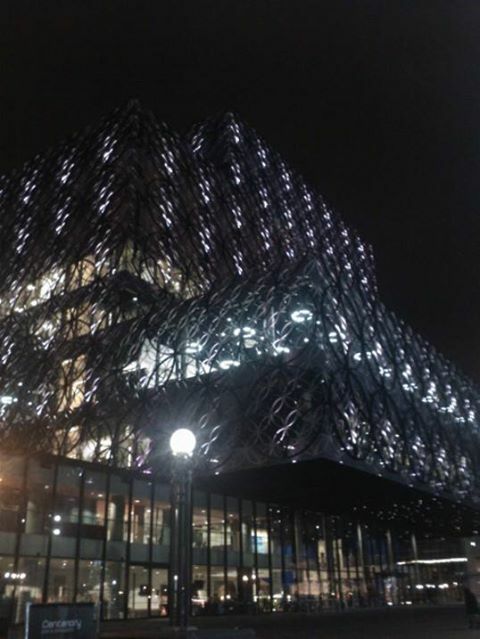 Although I was working on Thursday the booking was amended last minute and I was able to leave early and to the Library of Birmingham for Poetry for Lunch with Jan Watts. I always love this short, fast paced game of poetry tag and we were watched by a bunch of school kids waiting to go to the Rep Theatre, it made me doubly grateful for the early release! 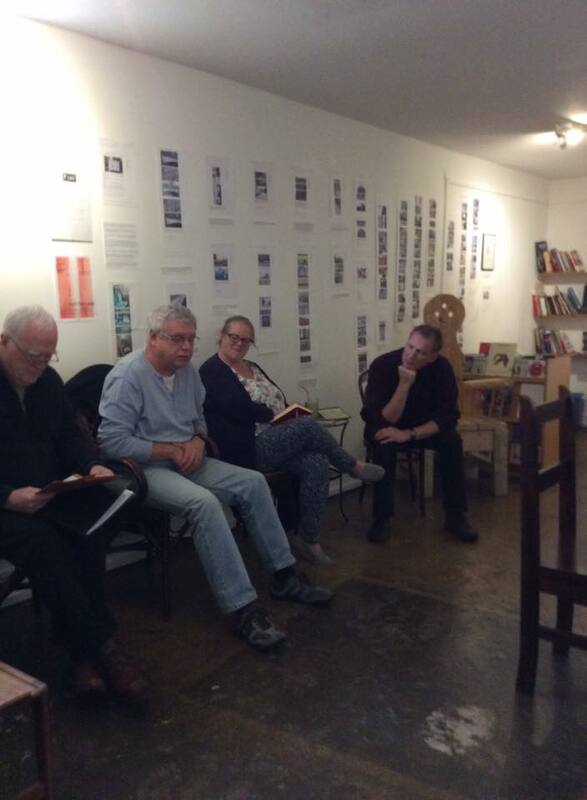 In the evening Elaine Christie had organised another launch event for Restless Bones Poetry Anthology. 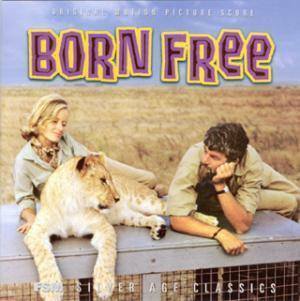 We were to perform poetry and watch the film Born Free. The Ort has lots of things going on some nights (it is community based) Thursday evening there was an art class in the gallery *(the space we had booked) and events and reservations in the café downstairs so we were up in the Gods in a level I never even knew existed as far from the bar and toilets as possible, still nothing a tray and some good balance couldn’t solve! Although there were a small select few of us another batch of books were sold, that’s over £330.00 for the all proceeds are being donated to charity. It was also one of those magical nights when the world seems right and everything is running to cosmic order. Those nights when you become aware of behind the scenes and feel incredibly touched by existence. Tessa Lowe had the idea that everyone else should pick poems to read which weren’t theirs – one of mine was by Emily Dickinson and it got read earlier, so I had to think on my feet – it was great to hear us all read words by somebody else, it was incredibly moving. As is the book, you really should buy yourself a copy! 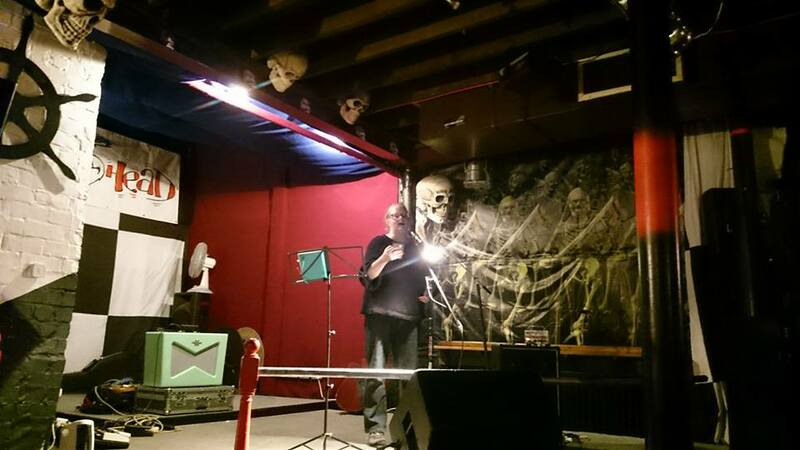 Come along to the next event 25th November where Restless Bones poets are reading at Poetry Bites, Kitchen Garden Café, Birmingham (Kings Heath). BUY YOUR COPY THERE £9.99 It was a great evening with a wonderful atmosphere. 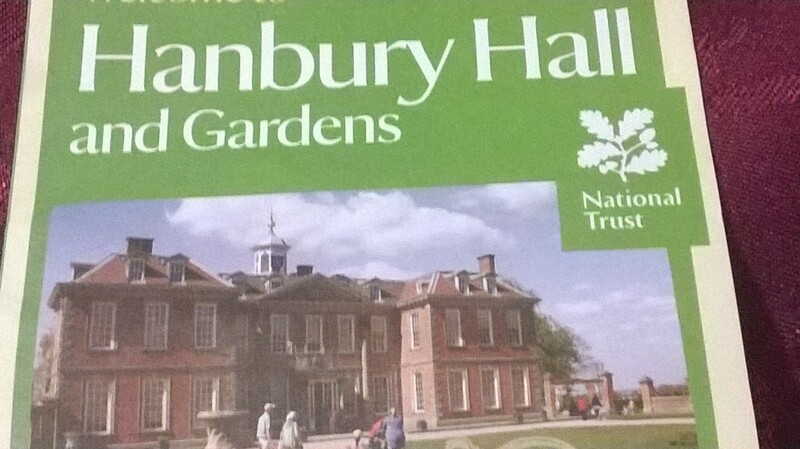 I was also trying to squeeze in a trip to Hanbury Hall (National Trust Property) to visit an exhibition that Stanza members are writing poetry about, I am glad I didn’t attempt this too as Thursday left me exhausted. I went after work on Friday – which was a pain with regards to the light and lack of time I spent with my notebook but was a lovely rest-bite from work traffic on a Friday night! There was so much going on in Birmingham this weekend. I missed it all as I had my project and Inkspill to attend to and had already accepted two weekend events I didn’t feel I could say anything other than YES to! 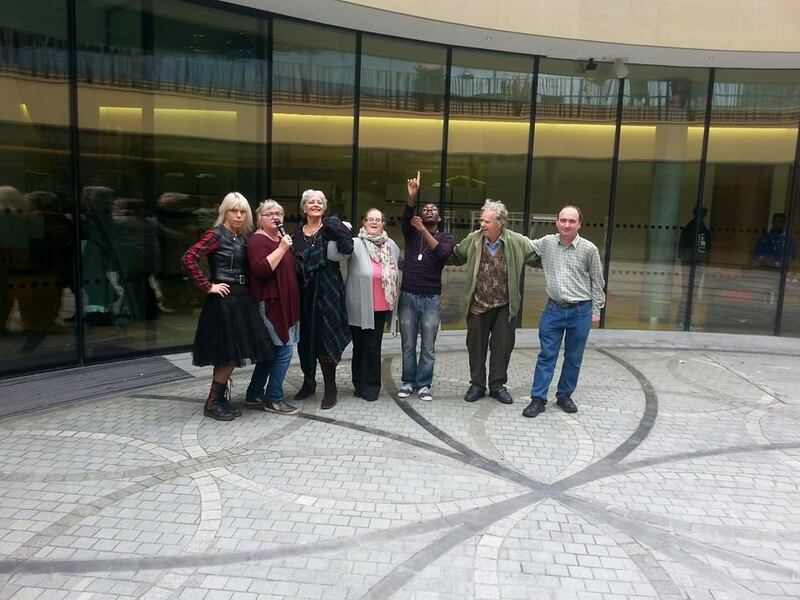 The Poet Laureates took over the Library on Saturday with performances, workshops and a general spread of Poetry! 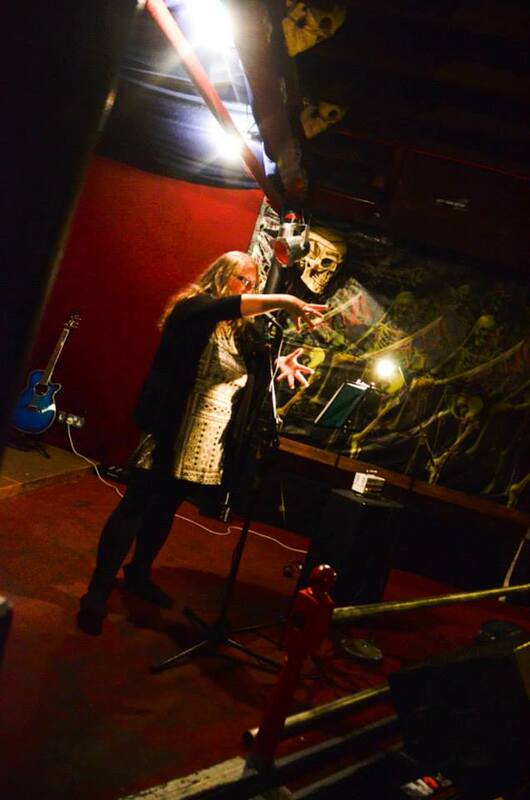 Britain’s Got Talent came to town and one of my poetry friends, Andrea Smith (a.k.a Swingerella) had a very successful audition – I expect we will see her on the TV soon! 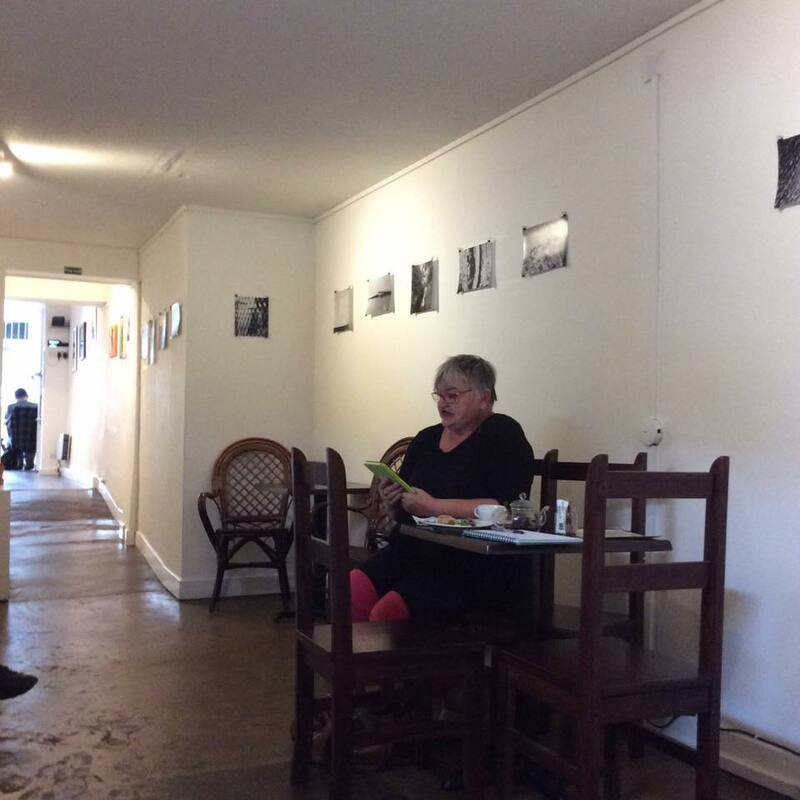 Ruth Stacey was involved in a writing walk – this was in Ledbury and not the city – but had I been available was something else I would have liked to do! 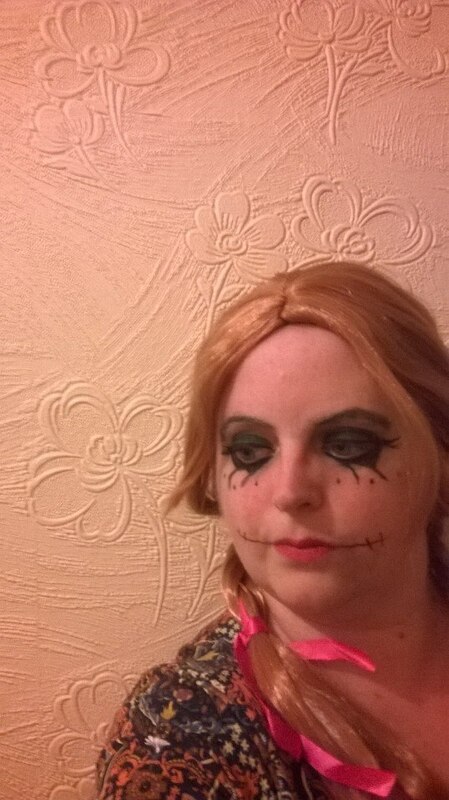 It looked fab. 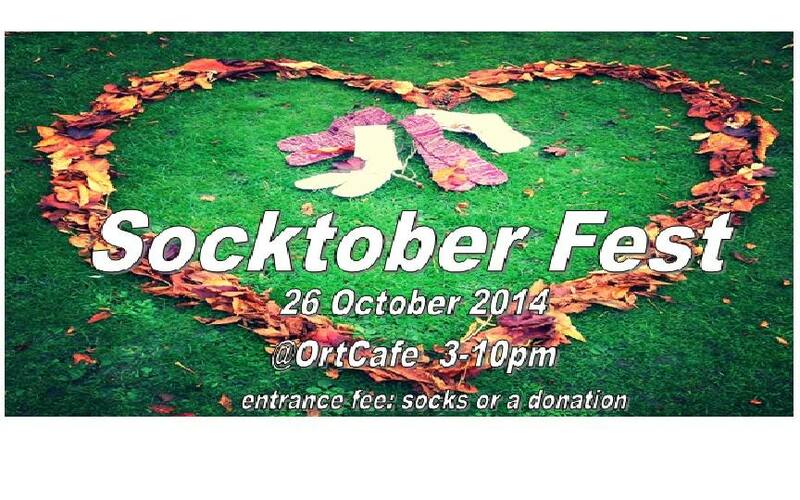 I also missed SOCKTEMBER which was an event I had planned to take part in performing poetry and enjoying a bonfire. I spent the time I would have been there chained to my desk writing and editing and I have no regrets there at all! I have made a note for this next year and hope to help the event and give the cause the time it deserves. I did manage to escape my desk briefly on Saturday and Sunday. On Saturday we celebrated a big and important birthday, my Great Aunty Sheila and we all saw my brother Dave and his wife, Jenny fresh back off their wonderful honeymoon. On Sunday teatime I attempted 1940-50s fancy dress – with the help of Google and a few items in my wardrobe I generally don’t wear anymore and certainly not together, styled my hair and shot off to Worcester for Alan Durham’s Book Launch of The Hen Race. http://henracepress.com/2014/10/28/keep-calm-and-carry-on/ Read all about it straight from Alan on his blog. 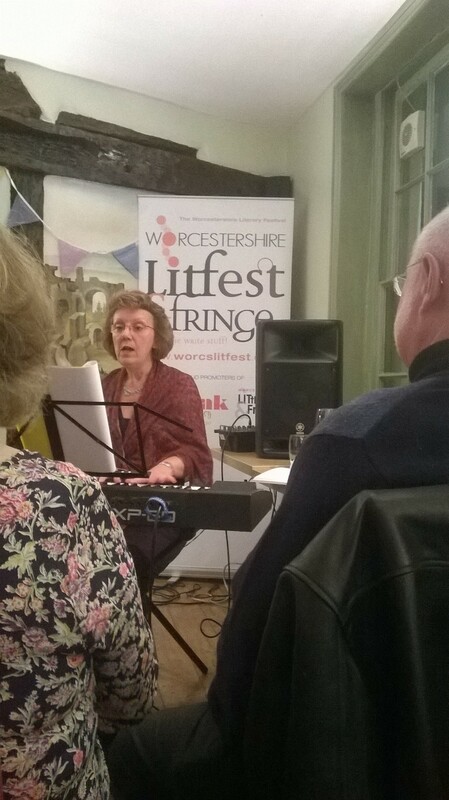 It was a great launch, Heather Wastie played the keyboard and sang a selection of the songs mentioned in the book. She was brilliant! Polly Robinson and Heather read extracts as well as Alan and the wonderful cover art was on display. 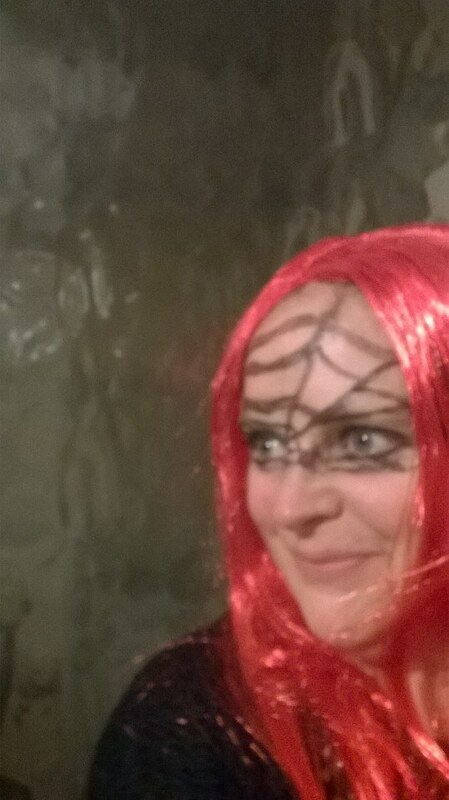 We were spoilt with drinks and canapés and it didn’t even matter that my worst fear was realised, people hadn’t realised I was in fancy dress! It was lovely to pop in and see everyone too and the room was packed. A great turn out for the launch. The empty seat was mine. Every spare minute of the last few weeks has been spent on my writing project, so much so that despite reminders in my writing schedule it was only 7 day before that I had started to instigate work on the writing weekend. I felt was a great success, lots of hard work went into making it happen, especially with other commitments and opportunities that have arisen this year! Thanks again to everyone who took part! It was a full and action packed week! I decided at the beginning of the month that I would do less performance events this month and focus on my writing. I have found it hard, if not frustrating, especially as I feel I have missed out on some great events. There is a certain amount of stress and pressure which comes from being under deadlines. I want this life, I want to have a full writing diary and lots of projects on the go, but I have to learn to find some balance. This life is tiring whilst I write alongside the day job (as many of us do) , I need to give myself enough time to rejuvenate and refuel. Energy is essential. 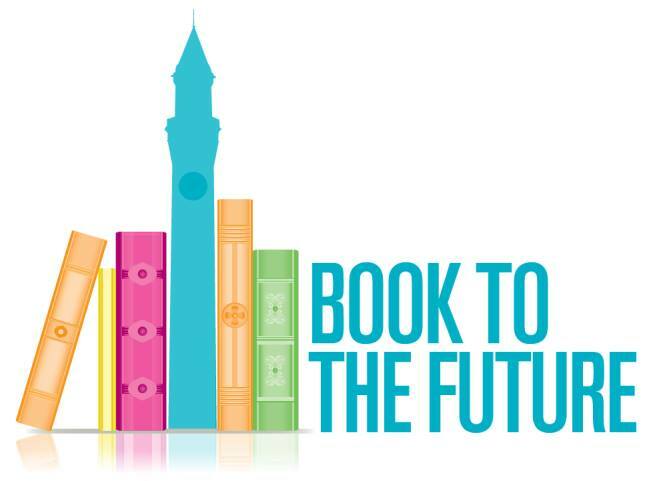 This week sees the Book to the Future Festival at Birmingham University, it finishes tomorrow. There was a great programme of events, which I missed out on as I have done lots of day job work this week too. I managed to contact a few writers who were lecturing to get seminar notes in return to being on their mailing lists. I also managed to get to Phenomenal Women on Wednesday night. I am missing Ben Norris this evening as I promised Mr G the weekend and am chained to my desk until deadlines pass. This week I had planned to be out at events for 4 nights in a row, it has been a challenging week at work and I decided I do not have enough energy to deal with that many performances. 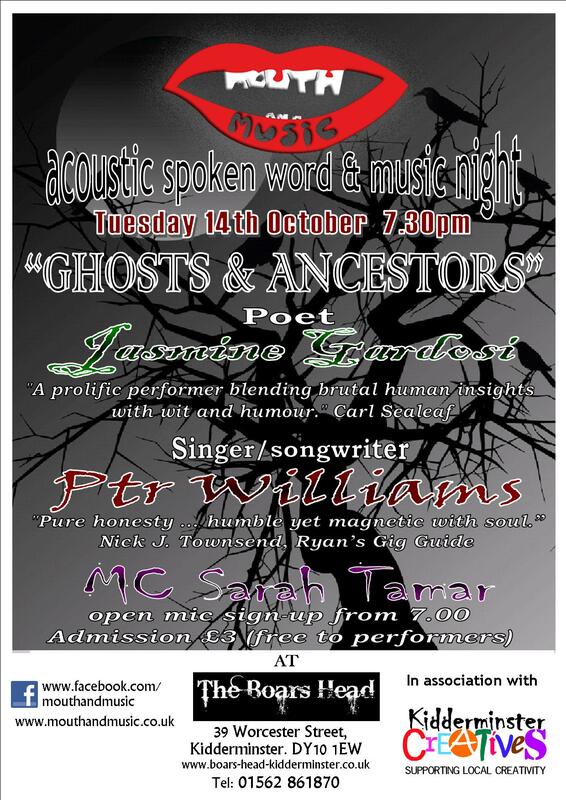 Tuesday I performed at Mouth & Music, Jasmine Gardosi headliner along with PTR Williams. 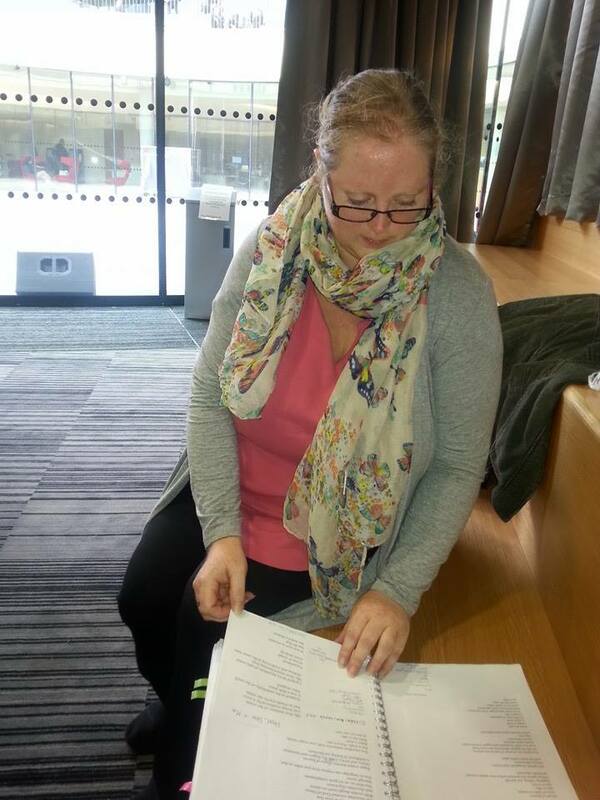 then hotfooted Birmingham University for Phenomenal Women with Jan Watts. I was supposed to go to PFL Poetry for Lunch and Hit the Ode on Thursday, however I decided to take time off I missed Lorna Meehan perform at HTO! 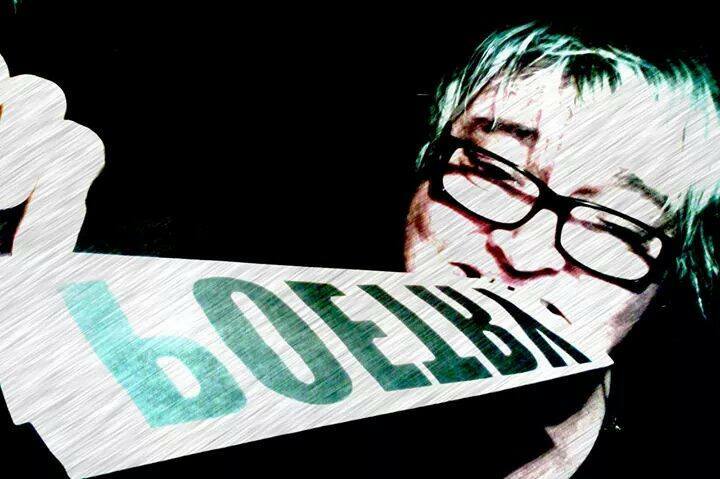 On Friday I missed Spoken Word at The Ort, Birmingham and Spoken World’s at Burton. I did go to a Stanza meeting, there were only 3 of us, last month there were 14. A small group were out in Malvern to see Carol Ann Duffy. Today there are poetic happenings in the Library of Birmingham, Ben Norris performs at Birmingham University and tomorrow Maurice Riordan speaks at Notts Festival of Words – at Notttingham University. 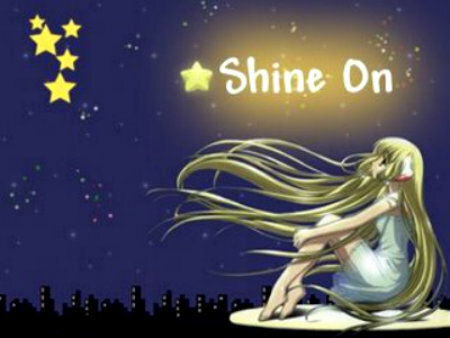 I now have a 5 day stretch to write and finish several projects I am working on and take on a new opportunity. Towards the end of the week I have some book promotion events, charity events and a book launch also next weekend sees our own VIRTUAL WRITING RETREAT – INKSPILL! Then it’s half term, Halloween and a bunch more events. 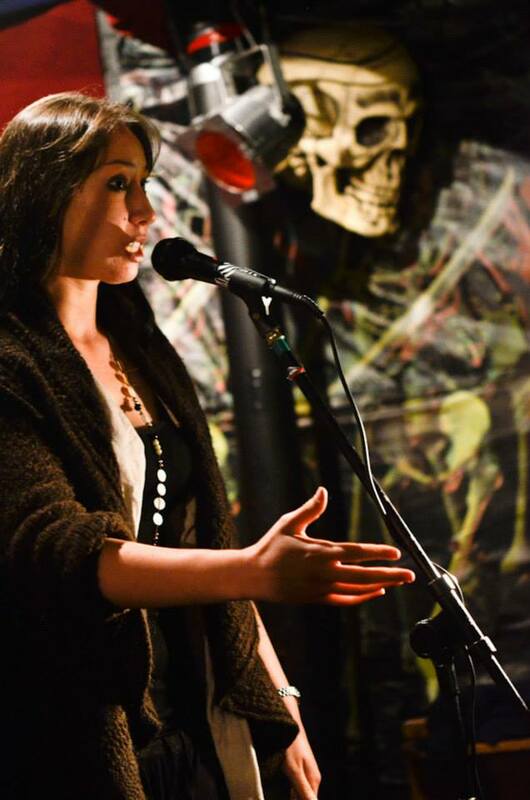 This month’s M&M was electrifying – we had 4 Birmingham Poets amongst us – Jasmine Gardosi was Head-lining, along with PTR Williams. 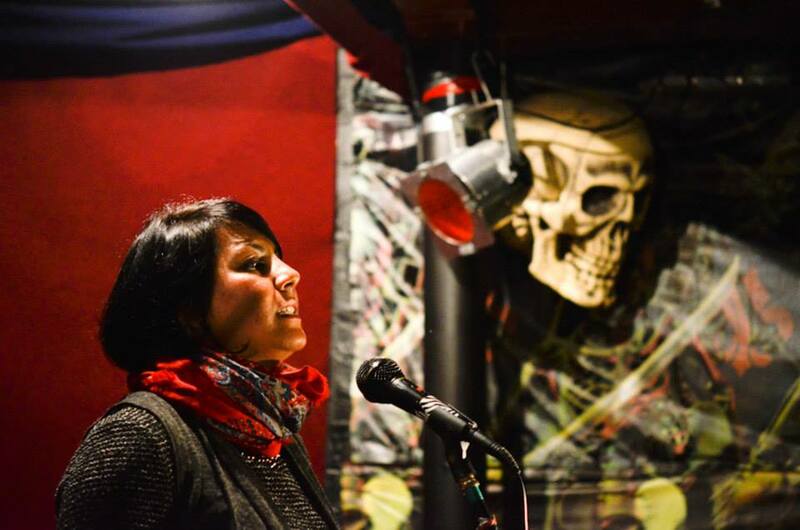 Those factors were the only differences to the usual stellar line up of open mic-ers – but it was just one of those nights that caught an extra sprinkling of magic along the way. Funny really because it was Ghosts and Ancestors theme and those of you who know me, know I am a complete scaredy cat! 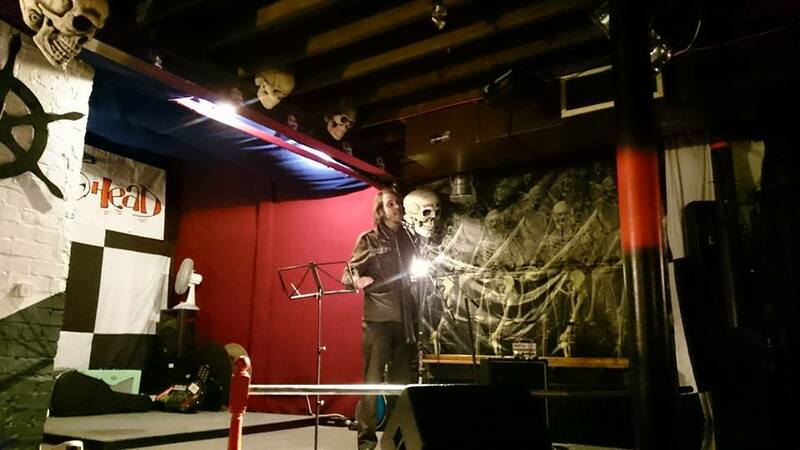 I had written a 2 poems (especially for M&M) that I couldn’t wait to perform, I plan to use it them on the Halloween circuit in a fortnight (42, Halloweeny Night at the Ort, Word Up) – they went down well and from audience reaction had the right amount of spooky foreboding! Perfect. The other 2 poems I shared were written a while ago now, 2013. I really enjoyed all the sets and seeing people I haven’t seen for months. We also had several performers new to M&M and they were fabulous, hoping they will be back. 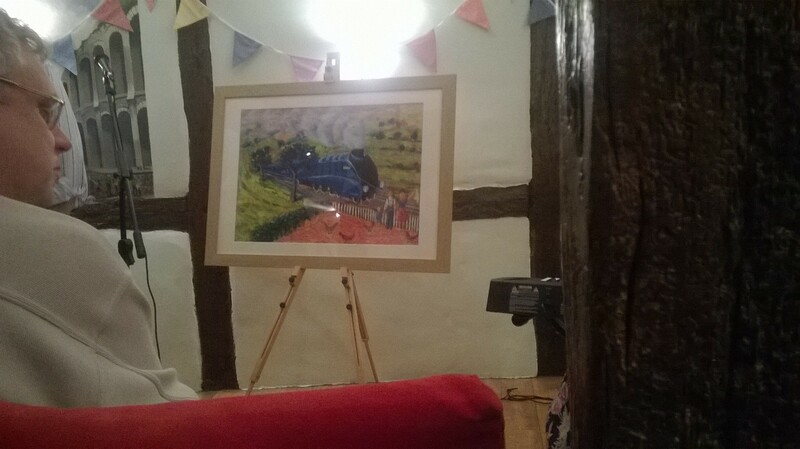 The lovely Saffron Toms brought her kit and snapped amazing, arty photos of the night to catch the atmosphere. The venue is incredibly dark so just on light settings alone she deserves a lot of kudos. All photos are copyright Saffron Toms. Just a taste – think there are over 60 shots posted online. Annually WWM get all the Lead and Assistant writers from the Midlands groups together. It was a fun meeting and they were also selling off book overstock from the Birmingham Literature Festival… discounted books -yes, please! 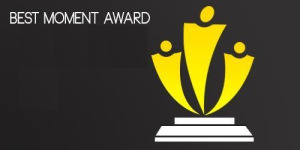 I also signed up for the possibility of training to mentor Arts Awards later on this year. It was a great night and secretly for me – it was also a celebration of meeting Jan Watts a year ago! I performed my post office rant (written the day before) and a couple from the Maya Angelou collection – as it was phenomenal women…. I had had a terribly challenging day at work beforehand (emotionally drained) and unfortunately that blew my Thursday performance plan out of the water. I spent time writing some new poetry and on Friday night (after another long work day) I went to the Stanza Meeting armed with a poem about Migration. Big thanks to Mike Alma for the lift, I was far too tired to drive and wouldn’t have been able to go otherwise! 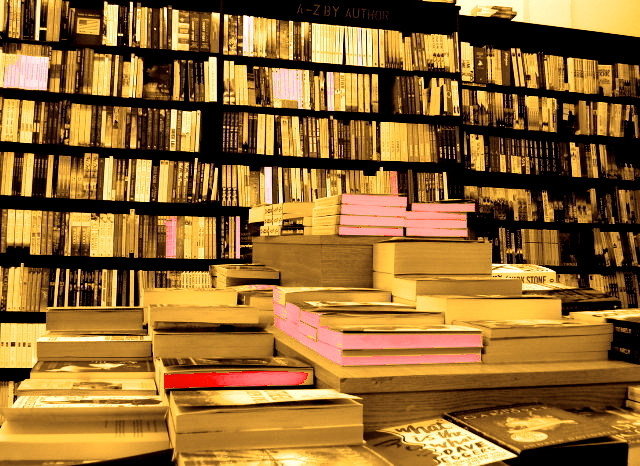 This weekend sees many Poets and bands in Birmingham for Oxjam, as well as all the other exciting things I have mentioned- I am happy writing – trying on the ‘reclusive writer’ for a while until deadlines pass! Next week is already filling up – there is a Hanbury Hall Project I am involved with as well as other things, including lots of days of work (as it is half term the week after = no income) I am busy writing new poetry and have a job application to send off as well. 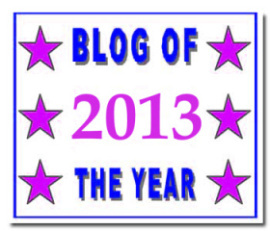 Nothing beats the excitement of penning (typing) a blog post whilst still high on adrenaline from the day’s events! I know I said I would reduce blogging to weekly round ups this October until INKSPILL – Our FREE ONLINE writing retreat, but today is National Poetry Day and what kind of ambassador for poetry would I be if I let that one slip without posting? What a crazy day…. I woke up to my 9:30 alarm (needed an ill me lie in) then fell asleep and promptly woke myself up with phone-in-the-face… good job too as I had left myself just short of a couple of hours to prepare for my first event. As always (there is an organised woman in me trying desperately to get out), I planned to pack a bag and sort my costume before I went to bed. My chest infection resulted in an earlier evening than planned and me visualising costume possibilities instead of counting sheep. To be fair I had plenty of time this morning and was ready and out the door on time, my delay came when I hit Digbeth at lunch time and found all car parks full, all road spaces in use and many drivers who decided not to give way when the highway code would advise it… a couple of car sandwiches later I just pulled into The Bond and hoped. Parked right outside the venue but in my post-nearly-had-my-car-written-off flap, discovered I hadn’t actually listened and headed back to reception. I wasn’t late as I had planned to be over an hour early – I wasn’t over an hour though and poor Dan, who only met me today was greeted by a slightly deranged, manic lady talking about poetry and parking. He recognised the signs and I got costume ready and into character before sorting out the details of the OPENING EVENT – the buffet arrived, I think the caterer had probably struggled through tight lane traffic too, she presumed I was Rachel (Rachel Green – Programme director), I pointed Dan out to her and went on preparing a set of poems. I had originally decided to just do two, poignant to the event – but I was glad I reserved more because I ended up doing the whole show! 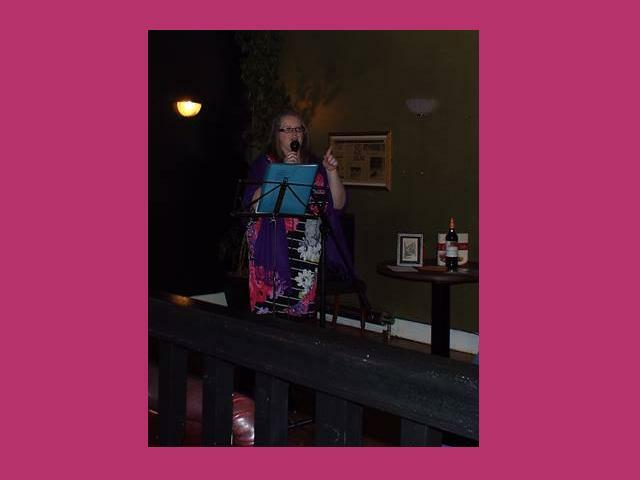 One of the poet’s was there but in another venue, the wrong place, the other poets were on the Poetry Trail, which was the first event on the programme today – so it was just me – the ‘Poetry Princess’, the programme of events and my poetry book! Feedback was all positive – people wouldn’t have known any different – my acting skills covering more than the cloaked character on stage! The buffet was a beautiful vegetarian feast and the pasta bake was delicious. If I am free on a Thursday I can be found at the Library doing Poetry For Lunch – but today the offer of hosting the opening event for Poetry, Performance and Everything Else Festival was too tempting. As it was National Poetry Day Jan Watt’s Poetry for Lunch was on for a whole hour (it is usually a half hour extraganza) – she had a good turn out, it meant Jan and Andrea missed out on the delight that was the Poetry Princess and her extended B side Performance, because rather than introducing acts she had to perform the whole event. I think they would have approved. We then had Cathy Crossley and Jan Watts take us through a National Poetry Day themed workshop on remembrance – remembering. Including lots of musical stimuli – I thoroughly enjoyed it and the group were great – everyone sharing their work and loads of strong ideas and images being written down, talked about and shared. I ended up with 2 pages of notes (I think Andrea has a photo of them), and a poem or the basis of a poem which I was fairly pleased with. It was relaxed and I love the venue they have at The Bond for the festival – all the workshops take place in one big space, there was a clay workshop at the same time – some impressive Mad Hatter hats displayed on the table at the end of it. 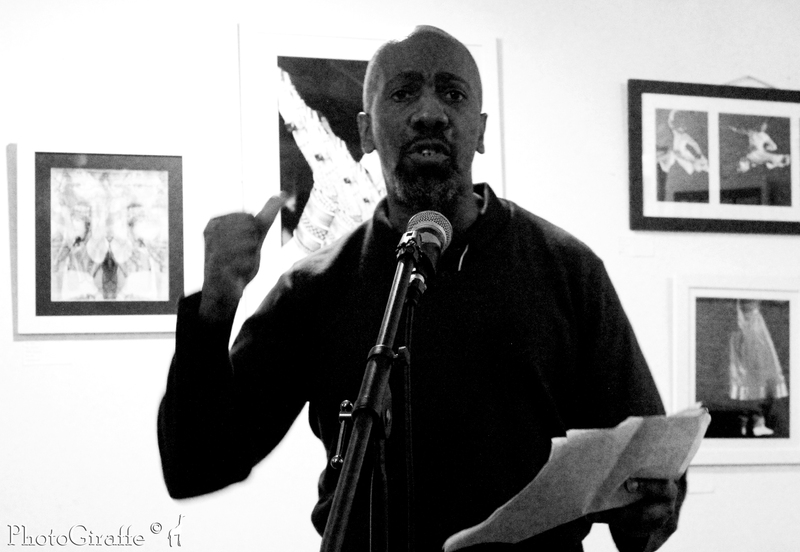 ROY MCFARLANE (Poet Laureate) Soulful Poetry Event. I have only caught a handful of Roy’s performances in this 1st year of poeting. It was great to see him up on stage, energy, positivity and heart wrenching/ warming poetry exudes from him. 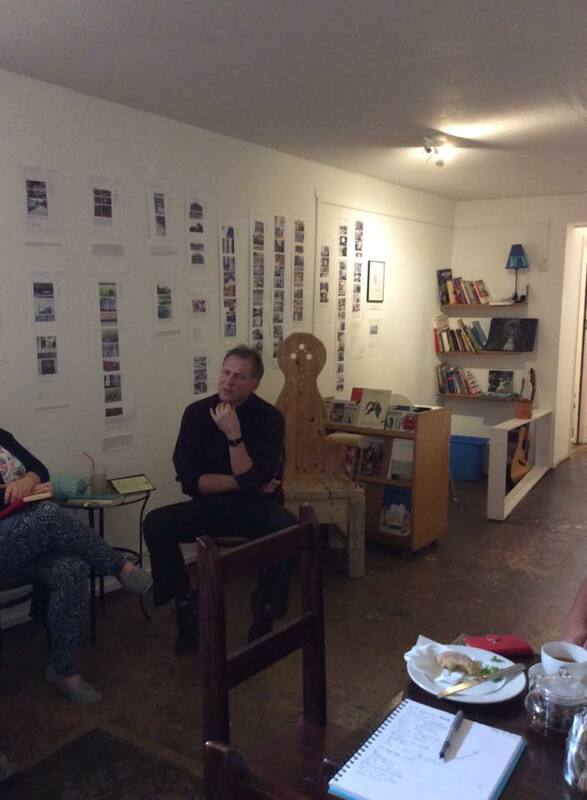 I met him officially, properly to talk to at Jacqui Rowe’s Poetry Bites, last Tuesday. He had to go before my set. Today was the first time he has EVER heard me, due to the nature of the festival and the event and knowing Andrea’s poetry was about her experiences I read my ‘Stone’ poem. It has been 10 years in my head, written about going back to where my life took a sharp turn downhill, I was visiting a nearby town to take part in a poetry event, this poem is as yet unedited and runs to 4 minutes, about double the time I usually take to perform. I had never performed it before. I shared other poems too and Roy gave me a great confidence boost at the end after discovering my voice. Hotwheeling (not literally) over to the Library of Birmingham, for the first day at Birmingham Literature Festival and the announcement of the new Poet Laureate. I also wanted to support 2 of my poetry friends in the final; Jasmine Gardosi and Matt Man Windle. It was a great way to end the evening, watching the performances and seeing former poet Joanna Skelt read again. Afterwards I spent some time chatting to people from Writing West Midlands. I picked up tickets from the Box Office for all the Birmingham Lit Fest events I can make. Last year (this was my first EVER Lit Festival) apart from a day at Hays, I practically lived in the city for the fortnight (10 days) this time I cannot attend so much. However, I am performing in the festival instead, on the 11th with Naked Lungs and the commissioned Urbanature project/ performance. So that trumps going to the library everyday and at least this way I still have time to work on my writing. In fact the only poetry between now and Sunday afternoon will be material written tonight and tomorrow afternoon, the Roy Croft poem, I am reading at my brother’s wedding and maybe a bit of bedtime reading. Sunday I am back in Birmingham for Roger McGough at the Literature Festival. I have had such a great day! I am also enjoying what other people have done to celebrate National Poetry Day, I may have to produce some sort of montage of information, maybe as part of the weekly round up! It was also this time last year, to the day that I had my 1st performance experience with the mic and poetry going public. 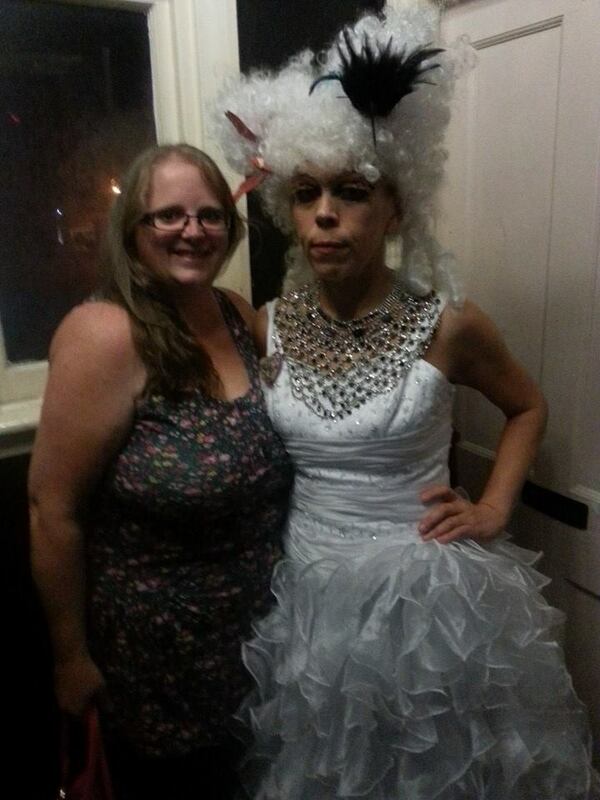 Julie Boden’s Night in Leamington Spa. Can’t believe it is the end of August already! What a CRazY month it has been – especially when I consider last year (in my first year of writing before I had found my poetry feet) I practically took the whole month off! Although I think that had more to do with resigning from my job and enjoying the last summer off on full pay for a while! August saw; a plethora of birthday celebrations, wedding outfit shopping, allotmenting, garden centre visits, new plants, harvesting vegetables, catching up with friends and family, as well as Arts/Music festivals, one off events, performances and Book Launches! August is always busy because it is summer and I don’t work (or get paid) < before you get too jealous. This month I may not have gone on holiday but I did extend my birthday celebrations over several weeks and it wasn’t even a significant one! Who needs a holiday when the 6 weeks poeting took me all over the Midlands. 52 continues – as it will all year – I am now planning a catch up though before I start back to work as I have missed some weeks. Last month I wrote about Naked Lungs and a project/performance for Birmingham Literature Festival. I presumed they had picked other participants to collaborate as I hadn’t had an email. There was an email. It just didn’t get to me! Momentarily dancing around the lounge… My next exciting venture to work on, the performance is October 11th, a week after my brother’s wedding. 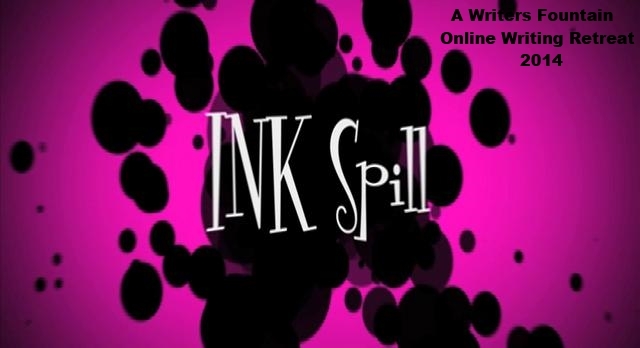 INKSPILL a free online writing retreat I run from this Blog at the end of October 25th/26th is in full swing (organisation), more on this soon – September will be full of tasters and teasers. ONE YEAR A POET – I am also busy organising a celebration of my first year back in the world of poetry and it was also the point at which the 1st 9 months of a writing life bore fruition – in terms of work and being a writer. There are lots of poets/artists lined up and it should be a cracker! This may have to do with being linked on educational sites, or just they were dang good posts! I worked on lots of writing this month, I regret not spending more time on my pamphlet submission, I lost confidence with it and shelved it, only to dust it off again on the deadline day – when by the time the writing was finished I was half an hour late leaving for an event, speed reading is not to proofreading, needless to say I came home and found 3 mistakes! I sent poetry to Bombay Gin, Paragram, Barrelhouse and a portion of a pamphlet to VPress. 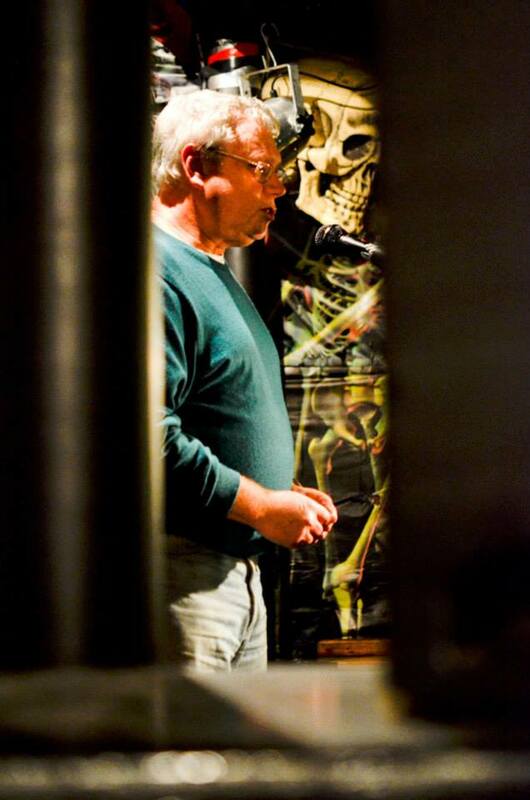 I worked with proof copies of GBWO and Restless Bones Poetry Anthology. HCE Here Comes Everyone Published my poem ‘Falling into Line’, written especially for the Boy/Girl Issue of the magazine, it is available online and as a print copy. 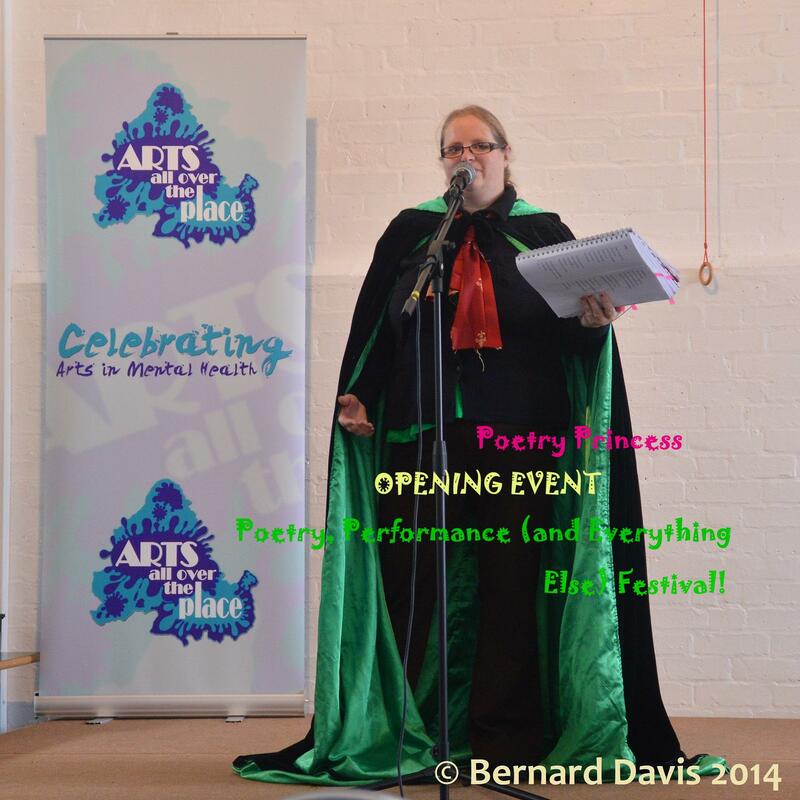 Performing Poetry – the links will take you to blogposts about the events. All over the Midlands this month, I have (as always) missed some events – because I am human mainly, once I find my superhero self I shall fly out to all gigs… Mr G also booked a fortnight off work. The month started amazingly with A Night with Maya Angelou – organised by Jordan Garvey and Shakti Women. I watched a video of my performance for the 1st time, it was a little uncomfortable. Mouth and Music – War & Peace A great evening hosted by Sarah Tamar, I was expecting the subject matter to weigh heavy – but the evening was as vibrant and uplifting as always. 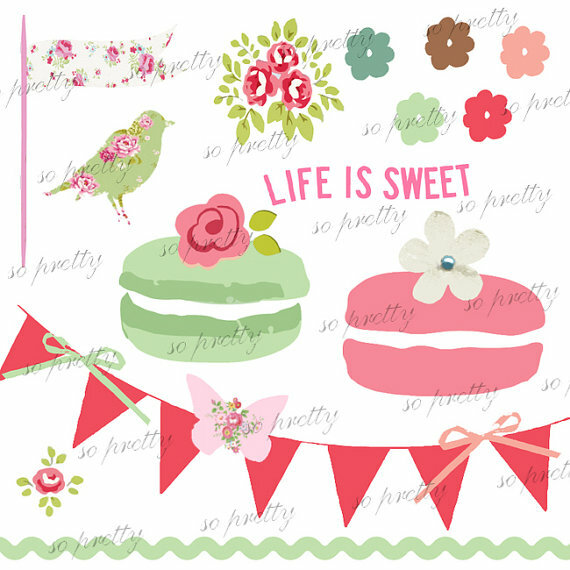 Birthday Stanza – a normal Stanza meeting where I took CAKE! 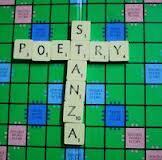 Great to be back with the Stanza crowd, first meeting in 2 months, due to clashing dates and performances. Bridge the Gap – an intergenerational tea party on a canal boat – the brainchild of Aysha Begum(Beetfreaks). My first time on a moving canal boat and therefore also the first time I have performed on one! Restless Bones Poetry Anthology – Book Launch – Restless Bones raises money for Born Free Foundation, protecting animals against the fur trade. The book launch was at Akamba an African Heritage Centre in Solihull, a fitting environment. It was a great night and it is a great book. Details on how to buy your copy, coming soon. 42 Drummonds – An open mic/ off theme night at 42. 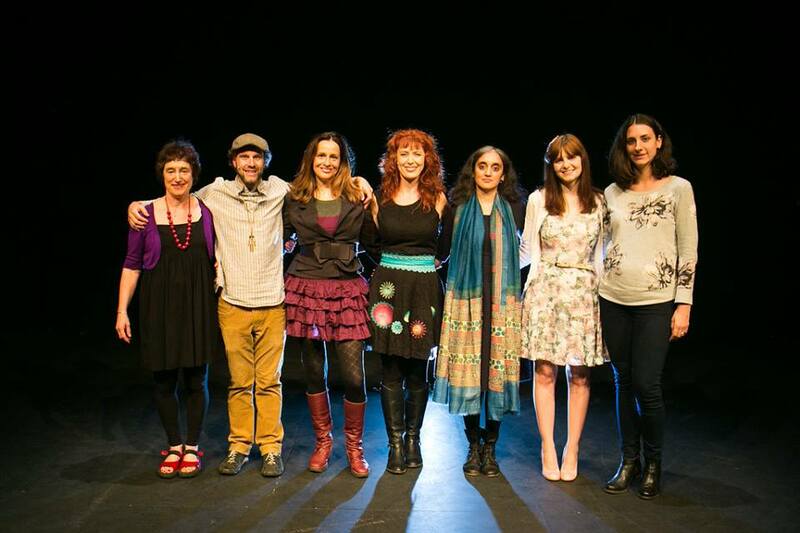 A small and select crowd, a great night of story, poetry and theatre. 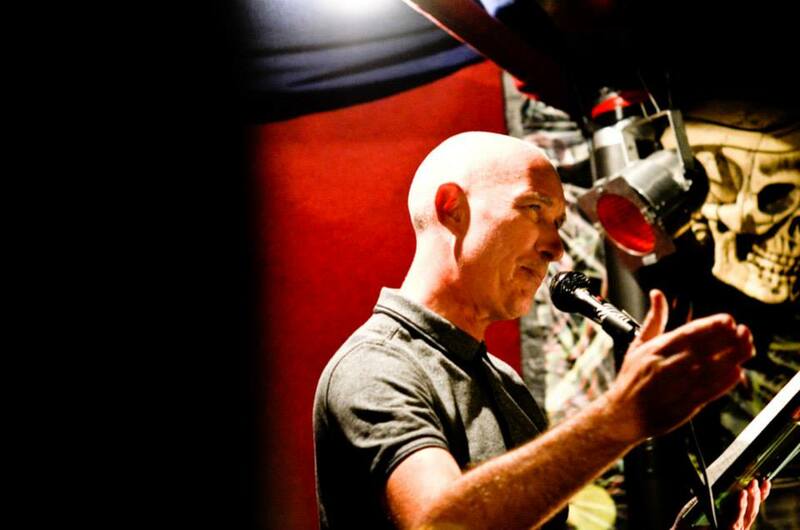 Worcester Music Festival Humdrum Express – Ian Passey organised a menu of bands and supporting poets for a great night at The Swan and Two Nicks. 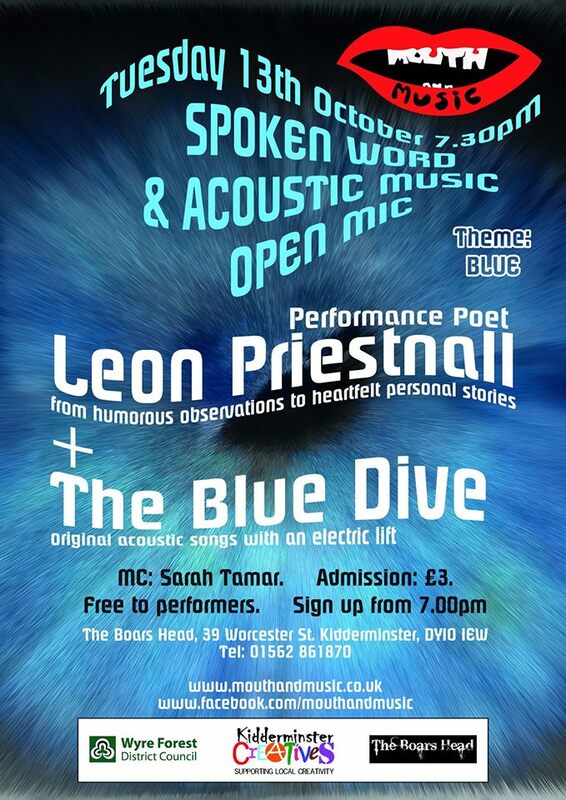 Worcester Music Festival Word & Sound – Amanda Bonnick and Jenny Hope organise Word & Sound nights and this one was hosted by Amanda as part of the music festival. It was a cracking night with some stellar performances. Crème de la crème! I don’t always perform, sometimes I just enjoy the Arts and support friends and fellow poets. 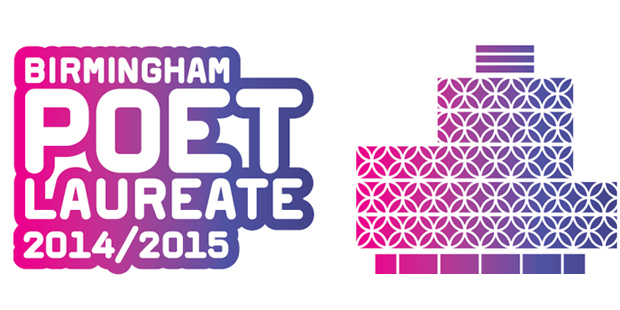 Benches – Jan Watts Book Launch / Off the Page Event – starting on the canal and finishing in the Library of Birmingham. I have since read and reviewed the book. This link is the blogpost and details on how to buy your own copy can be found here. 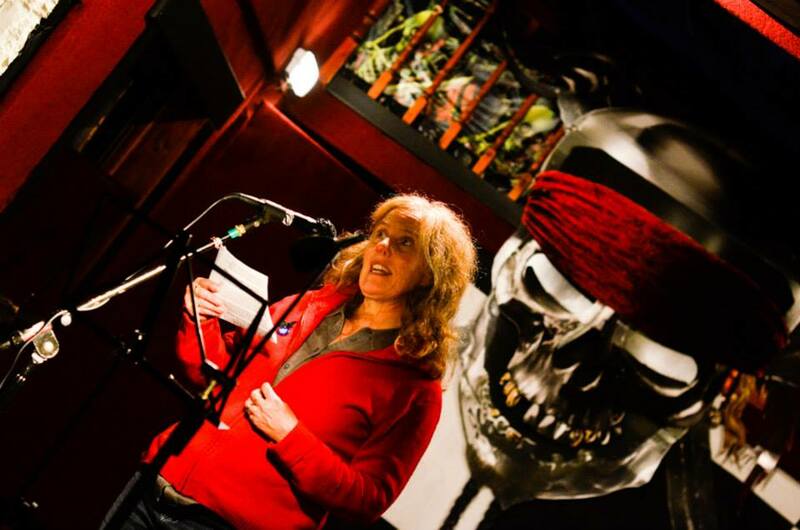 SpeakEasy – a night of poetry hosted by Maggie Doyle. Naked Lungs -They have booked me to perform next month so I thought I would go along and check it out. Glad I did, great night. Performers included Ian Bowkett and Ben Norris. 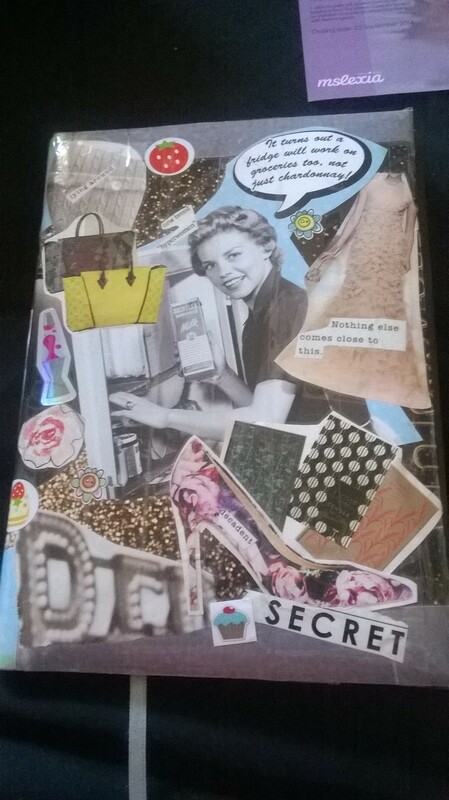 August has been a funny month – action packed but also dippy in emotional stakes, belief in my writing, confidence drooping in my ability to perform, inner gremlins getting a look in. I suppose the more seriously I take myself the more this may happen or it could have been some of the subject matter covered by this month’s writing. Or the pressure I placed on myself to complete this month’s submissions and performances. It doesn’t look more than usual but considering I took about 10 days off completely, it is a LOT! August has produced many new poems and some still have slightly rough edges. 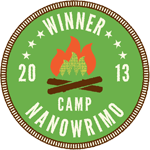 My writing spirit is high! I was so excited when I finished reading that the first thing I did online today was leave a book review on Amazon – although you are probably aware of the current battles of Authors against Amazon and if you prefer you can follow the links in this review and buy it directly from the publisher. I really enjoyed reading Benches, it has been a while since I managed to read a book in a day, but I just didn’t want to put this novel down. I wanted to find the answers and was delighted by plot twists. I hate it when a book has an expected ending and this one will keep you going right to the final page. There is humour and laughter, serious issues, great characters and the plot wriggles and winds – quite in opposition to the straight canal setting. Great stories have it all and Benches will appeal to a wide range of readers, you will not be disappointed. It has meat as well as sizzle – it is brilliant. Nancy Byrde tells us her version of the canalside goings on that spice up her retirement. Together with her dog, Steven, she gets close to her family, the good and the evil. She dices, with drugs, violence, a teenage runaway and being over exposed at a wedding she wasn’t invited to. Will she find a new happiness? Benches is set in and around Birmingham in the UK. The names of places has been changed to protect the innocent. It grew out of an encounter with a bench that had been graffitied with a rude word. This is a debut novel. 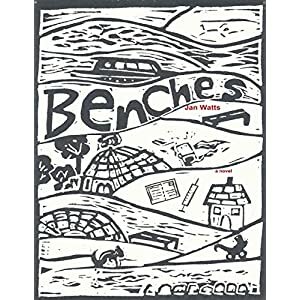 Benches is a great novel, humour, real life, family, plot twists, surprise events and an anagram puzzle of Birmingham’s suburbs… what’s not to enjoy! I believe that everyone who reads this will smile and laugh and yet it is a novel that covers some pretty serious issues too, there is meat as well as sizzle. 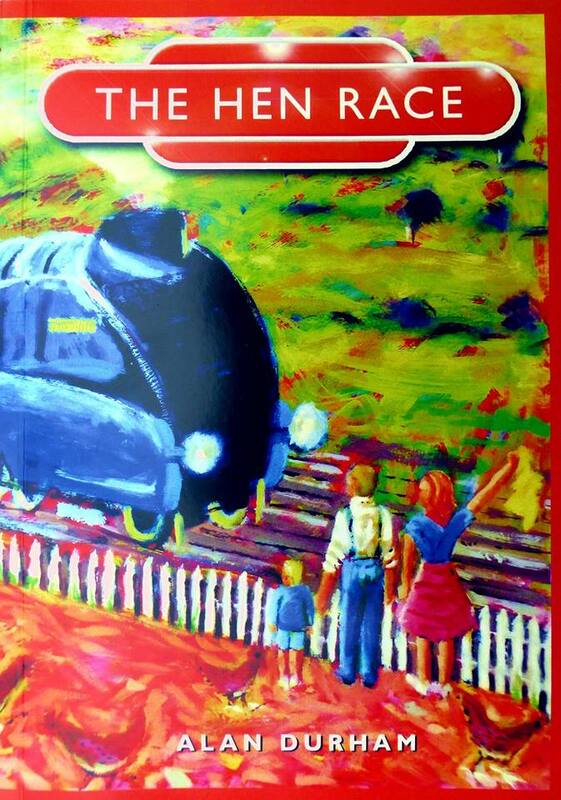 It is a quick read (you won’t want it to be), unlike a narrowboat – it moves at pace. It has been ages since I had time to read a book in a day, but I did… I didn’t want to put it down. You will want to find answers too. Treat yourself and treat others too (get some EARLY Christmas shopping in). From cover to cover, a true delight.